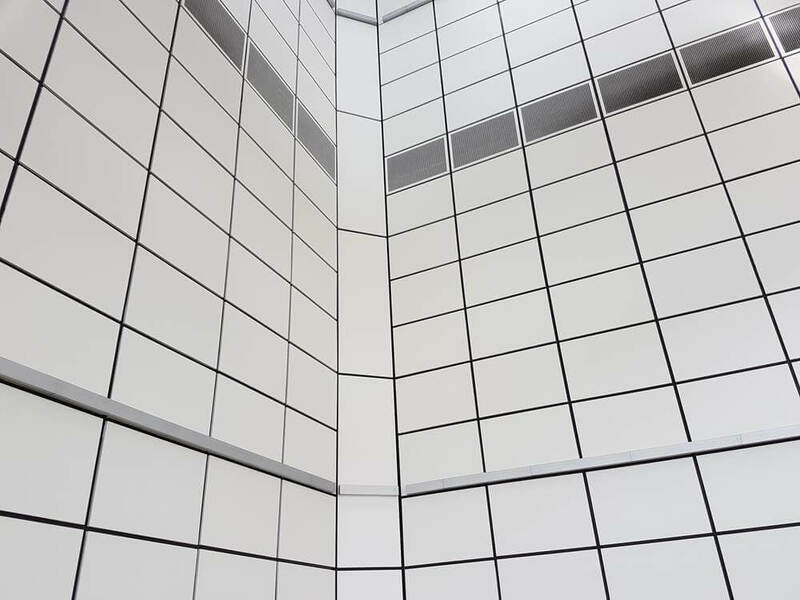 Open banking will soon be with us, while some people are still fighting to accept APIs as the new reality, for many the dialogue has moved on and they now look to identify partners with whom they can collaborate and thrive. Andrew H Brown, Chief Risk Officer, Earthport Plc, tells us more. The pace of change in the financial system is ever increasing: new infrastructures, legislation and regulation, and market and product evolution. But, who pays for these changes? Ultimately, the consumer pays for every change, either directly or indirectly, but as PSD2 goes live in January 2018, there is some anxiety about this mandated move towards “open” banking. Some of that angst focuses on who is to pay for continued development of the infrastructure. Are the costs of the required broader access to be borne by the banks or shared across the entities that provide alternative services via that access? Such a debate is hardly surprising when the impact will be, at least in some areas, to end the banking monopoly that has existed for many years over a wide range of financial services. Should the banks that developed and maintain these utilities be forced to give “free” access to other commercial (potentially competitive) entities? In truth, any and all costs always end up with the customer, and if there is an individual consumer behind that, with him or her. Sothe oft referenced concept of “free banking” has always been something of a fallacy, albeit one that has perpetuated for decades. As banks and their core services become more akin to utilities, the opacity of the pricing of these services is a cause of concern, so the provision of pricing transparency in offerings such as Earthport’s own is increasingly a competitive differentiator. During the financial crisis, the bail-out of banks via the public purse challenged the definition of a free market – at least as it had been applied to banks. A “free market” after all, removes the need for a “lender of last resort” allowing banks to operate outside of regulation and standalone. The crisis demonstrated that banks and governments are indelibly linked, that sovereign nations need a robust and stable banking system, and that that system must not be allowed to fail in times of stress. Banks are under obligation to adhere to legislation, regulation and codes of practice, and to meet a variety of social responsibilities. These include the provision of services to the most vulnerable in society, access for rural communities etc. Sometimes these complex obligations are evident in direct legislation (e.g. requiring the provision of free or low-cost current accounts) sometimes supported through government programmes (e.g. those ensuring the provision of ATMs in remote and/or less profitable areas). We didn’t quite get to see what would happen if the system actually unwound, but we came perilously close. Moreover, despite widespread criticism of the banks, their legacy systems, and indeed their internal cultures, we have yet to see a mass exodus of bank customers to alternative providers. Nevertheless, it should have been something of a wake-up call. 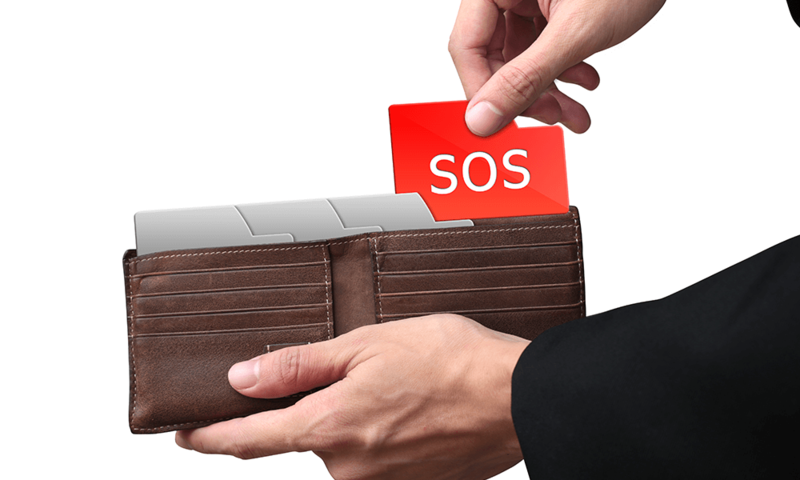 PSD2 and open banking are, at least in part, responses to the financial crisis. A recognition of too much concentration risk in the system. Banks now fear a different risk; that such legislative prescription will support their disintermediation, driving wholesale industry changes that will erode their market share across a wide range of financial services. But for those that do adapt to this brave new world (and it is now inevitable) choosing the right partners means banks can benefit from their most valuable assets: the scale of their customer bases, the associated deep rich data, and the hard to erode Trust that consumers have in their brands. The right partners can enable banks to leapfrog development costs, unchain themselves from monolithic legacy systems and directly leverage exciting new technologies to provide cheaper, better and more efficient services. To do this they will need to act with some urgency, some institutions continue to invest heavily in aged systems lacking the flexibility to move with the changing dynamic. However, this new regulatory framework around the “free market” will be good news for consumers. It means a greater choice of better services. The mythical free banking era is long gone as banks struggle to make the margins they did in the past, hampered by low interest rate regimes, more challenging capital and other regulatory demands, and fresh competition from nimble providers without legacy issues. Most banks now realise that life will never be the same as it was before 2008 – and some are already making forays into the brave new world, working with carefully identified partners, learning how to be successful after the vertically integrated model is re-tooled, determining new pricing models across multi-party chains. Given what we experienced over the past decade, sharing the risk and the reward isn’t such a bad thing, is it? In an Australian retail property first, the Clean Energy Finance Corporation (CEFC) will invest $200 million into QICGRE’s flagship Shopping Centre Fund (QSCF) to undertake improvements in energy performance across the QSCF shopping centre portfolio. The senior debt facility is the CEFC’s largest property investment commitment to date and will support improvements in its Australian shopping centres located in Queensland, Victoria, New South Wales and the ACT. Australian shopping centres, which account for 36 per cent of commercial building energy consumption, are a relatively untapped opportunity to transform energy use and reduce carbon emissions. They also provide the opportunity to make local communities “greener” by engaging with customers with initiatives to improve sustainability and reduce energy use. There more than 1,750 shopping centres in Australia, and yet less than 10 per cent of them have attained National Australian Built Environment Rating System (NABERS) ratings that measure how well they perform in terms of energy use. That represents enormous potential for improvement. QSCF’s retail footprint encompasses over 1 million square metres of floor space and, each year, accommodates more than 130 million visitations, generating more than $5 billion in retail transactions. Through the CEFC’s agreement with QSCF, QICGRE will provide a pathway to reducing energy consumption and will undertake customer engagement activities that inform shoppers of the initiatives being carried out. Steve Leigh, Managing Director of QICGRE said the agreement reached with CEFC was an important milestone in the history of the organisation. “All of the funds in our portfolio are guided by a firm commitment to driving improvements in ESG-related initiatives, and in particular focusing on energy reduction and security across the portfolio. “In a broader sense, successfully delivering these initiatives contributes to achieving our triple bottom line objectives incorporating economic and environmental factors, and social priorities. 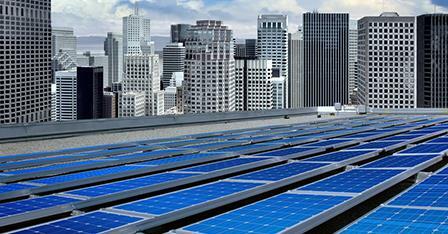 • sub-metering and energy data monitoring systems to provide data to optimise energy management processes. A series of energy efficiency and clean energy initiatives will be rolled out across the portfolio in the short and medium term. Although the shopping centres involved are of different ages and are at different levels of sustainability, QICGRE is targeting a minimum 4-star NABERS (excluding GreenPower) rating for all assets in its portfolio within 5 years, which will translate to energy savings of between 30 and 40 per cent. When businesses make cross-border payments, settle a trade or perform many other common financial tasks, standardized messages are sent to make it happen. Six billion of those messages traveled over the Society for Worldwide Interbank Financial Telecommunication’s (SWIFT’s) secure messaging platform last year: it is used by over 11,000 financial firms, markets and corporations in some 200 countries to make international business payments. So it’s no surprise that SWIFT has been under attack by global cybercriminals – or that it is now responding aggressively. Its response affects every SWIFT member and, indirectly, the businesses that trade across borders and that therefore make use of SWIFT’s network. One weekend this past February, hackers fed SWIFTNet an authentic-looking set of instructions to move nearly $1 billion from the Bangladesh Central Bank’s New York Federal Reserve Bank account to multiple banks throughout Asia. , Most of those requests were declined (though, in one case, a simple typo may have been all that saved the money from being lost). However, $81 million was transferred to a bank in the Philippines. After that, the money was evidently forwarded to a forex service, redeposited in the Philippines bank, withdrawn again and laundered into cash at local casinos. From there, it disappeared. 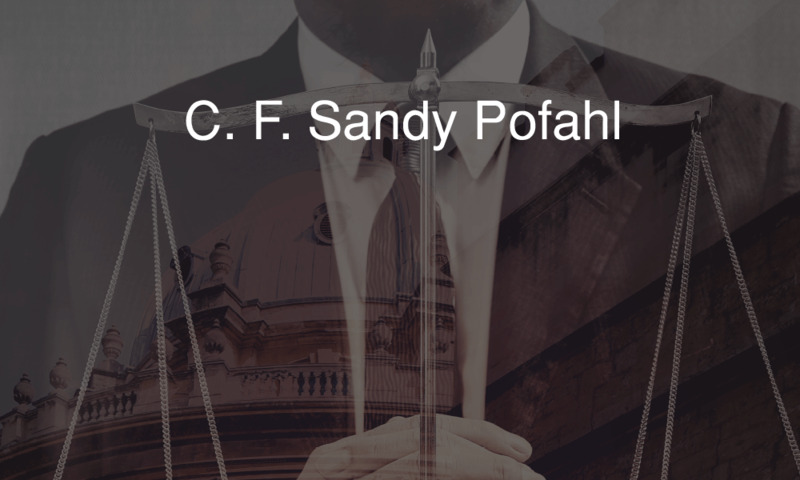 The public still doesn’t know many of the details of this crime – not least, who did it and whether “state actors” were involved, as has been suggested by some informed observers. But several aspects of the attack have been widely reported, and they raise significant concerns. Attacks against bank customers have unfortunately become familiar, but these attacks are different: they aim to victimize the banks themselves, through the global infrastructure they use to move money around the world to make international business payments. It appears that the criminals spent at least a year planning their attack on the Bangladesh Central Bank. The accounts which received the stolen funds had lain dormant for quite some time, and investigators found evidence of smaller forays against other institutions in the months leading up to the attack. The criminals seem to have infected Bangladesh Central Bank’s computers with malware designed to prevent SWIFT’s software from printing the transaction copies that financial institutions expect and check. Since the heist took place on a weekend, nobody seems to have realized until Monday morning. SWIFT has also said that the criminals somehow used valid credentials to initiate the money transfers, though it isn’t known how these were acquired. These reports show that the crime involved extremely careful planning, and the exploitation of vulnerabilities not dissimilar from those used in many other cyberattacks. While the malware involved was well-targeted and relatively sophisticated, it probably found its way into a network through familiar means: perhaps physically, through a USB stick, or electronically, via an email attachment. Based on what’s known, existing technical safeguards and greater human vigilance can help, and such measures may now be more crucial than ever. That’s where SWIFT’s latest response comes in. To help understand why SWIFT responded as it has, it’s worth noting that SWIFT’s own network was not compromised. Member companies link to Swift in three ways: a few install a direct interface; some use a SWIFT-provided cloud solution and others use a service bureau, which typically assists with some aspects of SWIFT-related security. Beginning in January 2018, a random selection of SWIFT customers will be required to show proof from internal or external auditors that they’ve actually met these requirements. If a customer proves non-compliant, SWIFT will inform both its regulators and its counterparts. At the same time, SWIFT will also add 11 more “advisory” (i.e., voluntary) controls. SWIFT hasn’t formally announced which controls it will require or recommend: the preliminary list is promised by the end of October 2016, with community feedback to follow. However, The Wall Street Journal has reported that the standards will require the physical lockdown of equipment used to connect with SWIFT; better control over tokens containing SWIFT credentials; more security training and cyber incident response plans. Some of these measures are technical, but others – such as security training – involve all participants in the international business payments process and may indirectly involve outside business partners who aren’t SWIFT members. Meanwhile, SWIFT is more actively encouraging financial institutions to share information about indications of compromise and modus operandi when they discover they are being attacked, whether successfully or not. This has been described as a step towards a gradual change in culture, as large institutions increasingly recognize that it is extremely difficult to fend off sophisticated cyberattacks alone. Companies that make cross-border B2B payments via wire transfer are, of course, aware of the growing prevalence of hackers attempting to perpetrate fraud in their midst. 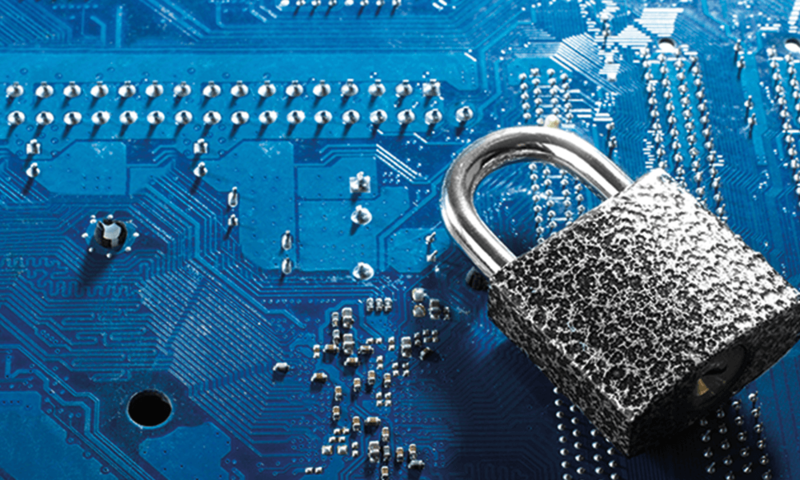 Businesses may wish to familiarize themselves with SWIFT’s mandatory security requirements as they are announced, and as they evolve over time. Even though the requirements may not apply to a company just because it makes international business payments via wire, following the recommendations are likely to enable better security than not following them. The last three decades have seen a large increase in the number of people living and working outside their countries of origin. The World Bank estimates that between 1990 and 2015, the number of migrants worldwide rose from 152 million to 250 million, and now make up about 3.4 percent of the global population. Many migrants send money back via international payments methods to families and friends in their countries of origin – in amounts substantial enough to turn some developing countries into better markets for international businesses than they may at first appear. As the proportion of migrants in the world population has grown, the dollar value of these international payments, known as “remittances,” has also risen. In April 2016, a World Bank report forecasted that 2016 migrant remittance payments would total $603 billion, of which $431 billion would go to developing countries. These estimates are for remittances made using official international payment methods – the report suggested that unrecorded/unofficial payments could be much larger. By far the largest source of remittance payments is the United States: in 2015, international payments worth over $133.5 billion were made by migrants working in the U.S. Of this, nearly $24 billion went to Mexico, $16.25 billion went to China, and nearly $11 billion to India. Other developed countries also remit funds, though on a smaller scale. In 2015, migrants in the United Kingdom sent global payments totaling nearly $25 billion back to their families; the largest recipients were Nigeria ($3.7 billion) and India ($3.6 billion). Migrants in Australia also remitted over $16.5 billion, much of it to China and India. Remittances thus represent a substantial transfer of funds from the developed world to developing countries, significantly exceeding official development aid. In 2015, India was the largest remittance-receiving country with an estimated $69 billion, followed by China ($64 billion), and the Philippines ($28 billion). But although remittances to China and India are large in money terms, they are not large in relation to the size of their economies. In contrast, remittances make up over 25 percent of GDP for some smaller developing countries: in 2014, over 40 percent of the economy of the central Asian republic of Tajikistan relied on international payments from migrants. These large inflows to developing countries create opportunities for international businesses. Families with access to funds from overseas may purchase more imported goods and services: for example, in 2014 remittances financed around 25 percent of imports in Nigeria and about 20 percent in Senegal. Remittances also support the development of local businesses, creating opportunities for international B2B sales. In Vietnam, for example, money sent by overseas Vietnamese has boosted local businesses and real estate markets: the World Bank says “about 70 percent of remittance inflows to Ho Chi Minh City (HCM) went into production and business, and some 22 percent to the real estate sector.” In Vietnam, also, the central bank uses remittance income to stabilize the banking sector, which helps to encourage trade finance for export and import businesses. For many developing countries, remittances are an important source of foreign currency, enabling them to build up FX reserves. Strong FX reserve buffers reassure international businesses that their local business partners will be able to obtain the foreign currency needed to meet their obligations. Strong FX reserve buffers also encourage the development of local branches, subsidiaries and franchises, since businesses can be confident that the profits earned from local business can be repatriated when needed. There is a popular view in many developed countries that migrants are a burden, draining money from the country while making demands on services such as healthcare and competing with native-born workers for jobs. But the full picture is more complex. Many international businesses rely on migrant workers, both skilled and unskilled, to enable them to deliver value for money to their customers. Migrants pay taxes and contribute to the local economy where they live and work. Research by the Organization for Economic Cooperation and Development (OECD), the World Bank and the International Labor Organization shows that overall, migrants contribute more to the economies of their host countries than they take out. However, the international payments landscape may be growing more challenging for countries that rely on remittances. This is for two reasons. Firstly, banks under pressure to comply with tighter anti-money laundering (AML) legislation in developed countries are closing the accounts of international payment solutions providers in developing countries. The Consultative Group to Assist the Poor (CGAP) observes that in some countries in the Pacific area, these account closures potentially deprive people in rural areas of access to funds, which could cause severe economic problems. In 2016, Australia’s four big banks exited from the country’s remittance business, raising concerns that unregulated money transfer providers would spring up to serve migrant needs, making AML control more difficult. Secondly, exchange rate movements affect the value of international payments. In the last two years, the strong dollar has benefited recipients of funds from the U.S., but adversely affected countries receiving remittances in euros or sterling. The oil price also affects migration patterns in oil-producing countries: migration from Commonwealth of Independent States (CIS) countries to Russia, for example, has declined in the last two years due to the ruble’s weakness and Russia’s recession. Falling migration inevitably reduces remittance flows. The World Bank identifies the prospect of the oil price remaining low as a key risk to the growth of remittances in 2016-17. For many migrant workers, being able to make international payments to friends and family in their countries of origin is a key driver of their decision to work overseas. 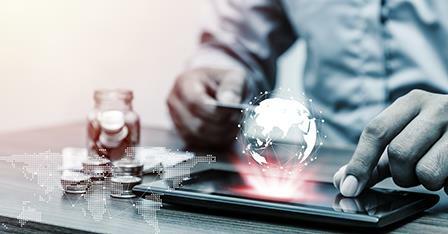 Businesses looking to attract migrant workers may wish to consider ways of mitigating adverse developments in the international payments landscape, for example by partnering with a trusted international payment solutions provider to help workers make international payments and manage their FX risk effectively. 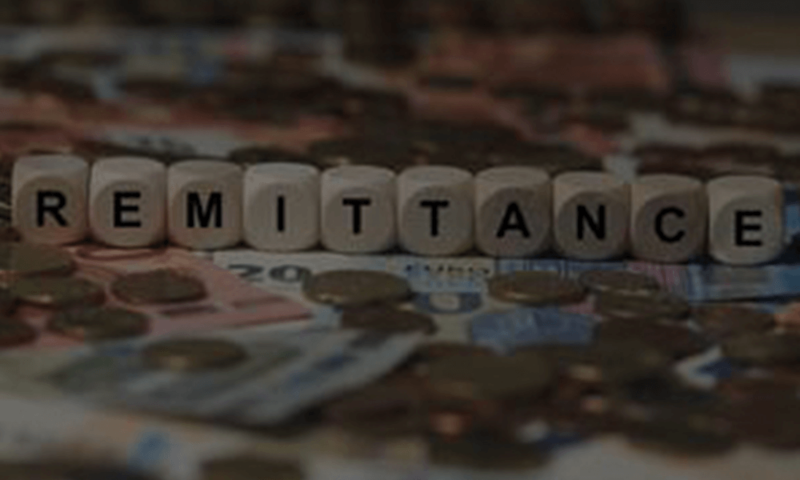 Historically, remittances via international payment solutions have provided a strong, stable flow of income for many countries, which can offer rich opportunities for international businesses. However, tighter regulation of banks and adverse exchange rate movements also threaten remittance flows for some countries. Directors Fernando Levy Hara and Stephan Gietl realised their shared passion for real estate and architecture, while attending the Advanced Management Development Program in Real Estate (AMDP) at Harvard University Graduate School of Design. AMDP is exclusively for entrepreneurs and senior-level professionals, with minimum 15 years of real estate-related experience. Both Levy Hara and Gietl are in the meantime, highly sought after speakers at Harvard University, especially on real estate cycles. Levy Hara and Gietl have specialised during the downturn of the economy in the years 2009 and 2010 in acquiring distressed assets, amongst them notes, fractured condominiums and land. Both developed residential and commercial projects in South Florida, Europe and Latin America, including the successful waterfront condominiums Regatta and Bay View Lofts in Miami Beach. Since its inception, McKafka Development Group has acquired notes, properties and development sites exceeding $100 million in value and has sold more than 500 units mostly to international investors. With its latest condominium development, The Crimson, McKafka Development Group will certainly leave an imprint on Miami’s skyline. McKafka Development Group was excited to announce its latest development addition, a 282-multifamily project in Sarasota, Florida. With this development, McKafka Development Group is evidencing once more its right timing for the market. Stephan Gietl serves as the Chief Finance Officer and Chief Operating Officer of the company. Originally from Austria, he was responsible for the completion of a mix-used project called Palladium in Downtown Prague, with more than one million square feet of shopping centre, office and parking space. Stephan is instructor of executive education at Harvard and member of Harvard’s Board of Real Estate Academic Initiative. 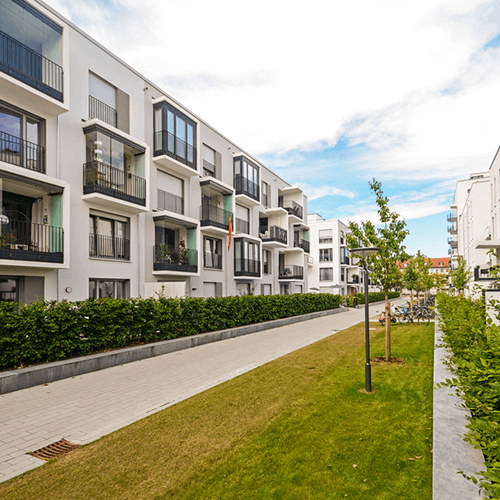 Our development service division has a very strong capability to evaluate a project’s feasibility, from a 360-degree perspective, which makes Mckafka a first-choice developer. 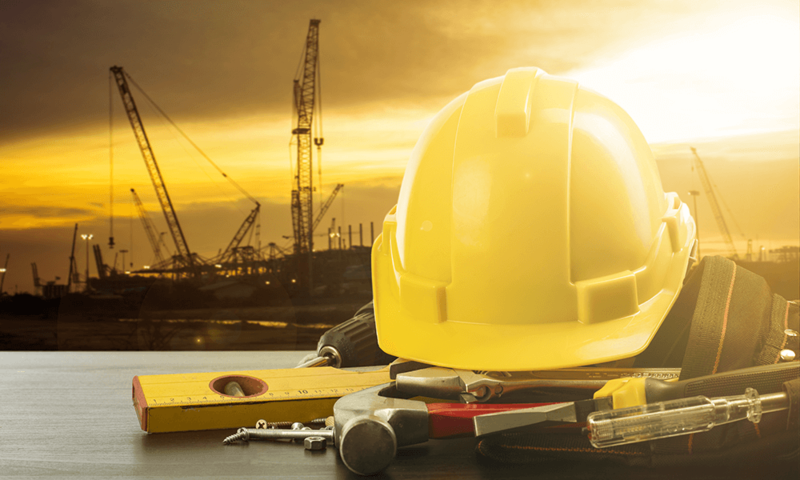 The team’s sophisticated skills span our services – from distressed asset acquisition to overall development services – including key turn projects. Our dedication to every detail in the whole development chain puts Mckafka at the forefront delivering outstanding project results. Implementation of our self-developed cost and project management tools further enhances governance and goal compliance of any development project we work on. Mckafka Property Management specialises in providing a full range of residential property management services to such owners, especially international investors. Our portfolio comprises hundreds of condominium units in Fort Lauderdale and Miami, Florida. With our fully integrated online management tool, our investors receive a full picture of their investment at their fingertips, from any mobile device. Our ability and experience in residential property management allows McKafka Property Management, LLC to serve and provide personal attention to our clients. Realty services Helping to maximise the return of your investment, McKafka Realty’s team emphasis lies in minimising any vacancy of your property, as well as maximising your income. With our in-depth market knowledge, we assist you in generating outstanding rental and sales income. 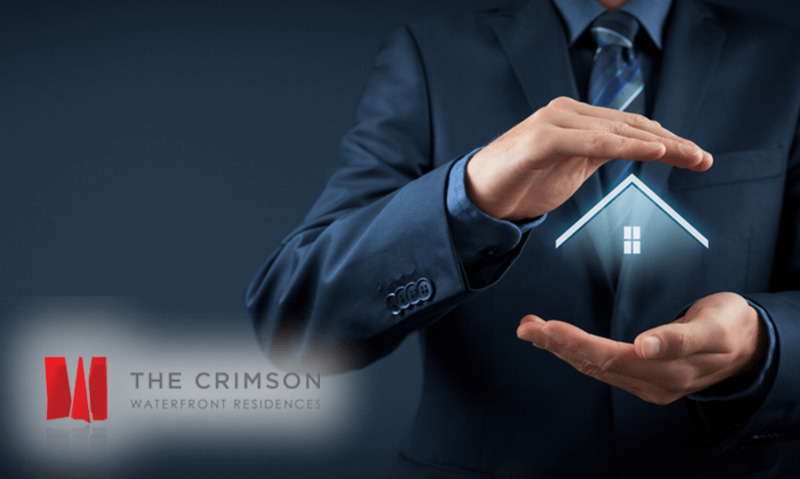 study One of our firm’s projects, The Crimson will offer buyers and investors a cost effective residential experience with ultra luxury amenities. Located at NE 27th and Biscayne Blvd, this LEED Silver project will feature 1, 2 and 3-bedroom residences, penthouses and town homes. The Crimson units range from approximately 780-1600 square feet, spanning nine different floor plans, plus there is ample storage and parking available. The building also offers six penthouses, equipped with an outdoor terrace and private hot tub. TCA Asset Management is a specialised investment boutique, established in Geneva during 2011. Managing Director Ludovic Bonnamour discusses the firm’s work, following their success in achieving the accolade of the Most Outstanding Investment Advisory Firm – Switzerland, as part of the Fund Manager Elite 2017 series. TCA Asset Management is an innovative alternative boutique asset management firm. 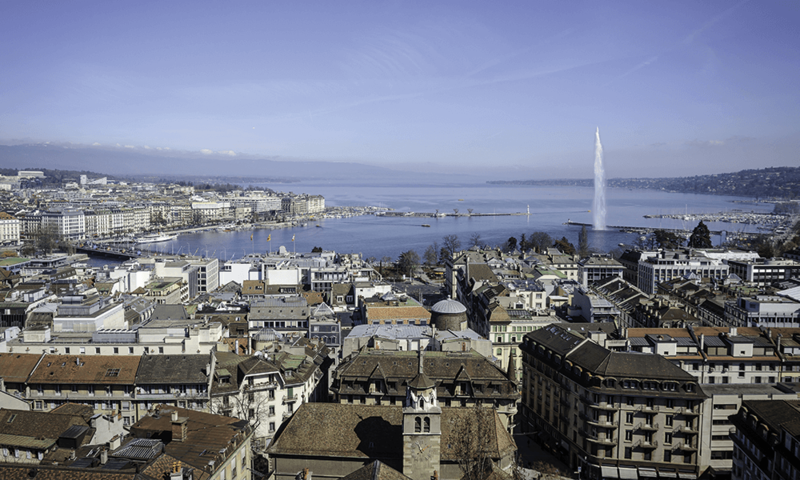 Established in Geneva in 2011, it is a fast-growing company, currently providing four complimentary activities: wealth management; corporate finance; family office and fund support services. The firm was established to bear in mind any forthcoming regulatory changes and evolving client needs over the long term (i.e. greater efficiency, higher service levels, global banking and choice of services). The business was structured from a risk management perspective, rather than the usual business model adopted by EAMs of just pooling assets. This model brings a long-term perspective for both internal and external clients, enabling the company to grow continuously. Ludovic Bonnamour is the managing director and partner of TCA Asset Management, a Swiss-based advisory boutique specialising in fund support services, wealth management and corporate finance. In his own words, Ludovic tells us more about his own role in the firm. My role is to build and to develop the company as an overall (from the business activities to the CFO duties), so I am involved in global management and business development when assisting the team and our specialists in the day to day business for servicing clients. Opportunities and challenges for the industry The firms in Switzerland and abroad recently recovered from the global heavy consecutive financial crisis of the last ten years, that impacted not only the financial markets, but also the real economy Ludovic highlights. “That highlighted clear shifts in strategy for lots of countries, governments and companies, working on new kind of technologies, new types of income streams while sometimes venturing into completely new approaches” he went on to say. “Switzerland is now for a while, very well recognised for its manufacturing industry, for the chemical and pharmaceutical industry, as well as for its knowhow in terms of financial centre. Switzerland is for a long time recognised for its stability, universality, responsibility and excellence with proven methods and reliability” Ludovic continues. First Triggered by the 2008/2009 crisis and the subsequent sovereign debt crisis, the last five years have had an impact on the local financial market environment in Switzerland and its wealth management industry Ludovic believes. This includes solving the problems of the past with taxation and transparency, adopting international standards, bringing market access in the EU and compatibility of products and improving the competitiveness framework conditions. “The authority started to strengthen professionalism and regulatory requirements for managing financial assets and financial companies. At the same time, due to higher costs, sometimes decrease of profitability or even legal constraints, banks merged or closed, therefore the number of actors continuously decreased by more than 20% over the last twelve years (338 in 2004 and 266 in 2015 – source SNB). “The private banking industry in Switzerland (in numbers) is today represented by 266 institutions and more than 2400 independent firms (from 1 to 15 employees), so that is nearly 90% of the financial actors. Independent actors so called ‘External Asset Managers’ (EAMs) manage clients’ assets through banks (custody and brokerage services) with a portfolio management approach based on an advisory or a discretionary mandate on behalf of clients. Having worked in the field for more than 14 years, created an EAM multi boutique asset management firm, developed a cross selling approach with four activities, developed a large network of partners, banks, investors and clients in Switzerland and abroad, Ludovic can attest of a real need of services and a real opportunity to gather market shares. “A good part of EAMs are now too small for being able to survive (1 to 3 people), offer only one expertise (portfolio management without advisory services or CIO), express difficulties in bringing transparent solutions and value added to their clients. Ludovic concludes that clients are more and more comparing services, looking for fee transparency, alignment of interests and open architecture while talking about investments and custodians. Our company has evolved since its inception in 2011 and developed several complimentary activities that led to several well-deserved awards and recognitions from peers based on this long-term approach. Rexel, a global leader in the professional distribution of products and services for the energy world, has successfully placed €300 million of its 2.625% unsecured senior notes due 2024 (the ”Notes”). The delivery and settlement and the listing of the notes on the Euro MTF market of the Luxembourg Stock Exchange are expected to occur on or about March 13, 2017. The Notes, which mature on June 15, 2024, will be callable as from March 2020. They will rank pari passu with Rexel’s senior credit facility and other senior unsecured notes. The Notes are expected to obtain the following ratings: Ba3 by Moody’s (while Rexel’s corporate rating is Ba2 with a stable outlook), BB- by S&P (while Rexel’s corporate rating is BB with a stable outlook) and BB by Fitch (in line with Rexel’s corporate rating with a stable outlook). Rexel will use the proceeds of the issuance of the Notes, together with some available cash, to redeem all of the 5.250% senior US$ notes due June 2020 (the “2020 Notes”) of which US$330,000,000 remain outstanding. Rexel expects to redeem the 2020 Notes on or about June 15, 2017. Rexel can elect not to redeem the 2020 Notes if it does not issue the Notes or if there is a material adverse change in financial markets. This issuance will allow Rexel to enhance its financial structure by extending its debt maturity profile and reducing its overall cost of financing. BNP Paribas and Crédit Agricole Corporate and Investment Bank acted as Joint Global Coordinators, and as Joint Lead Bookrunners for the offering. Merrill Lynch International, HSBC Bank plc and Natixis acted as Joint Bookrunners, and Banco Bilbao Vizcaya Argentaria, S.A., Crédit Industriel et Commercial S.A. and Société Générale acted as Co-Lead Managers. “The success of this new seven-year note issuance confirms investor confidence in Rexel’s business model and strategy. It will allow us to refinance the 5.250% notes issued in 2013 at a significantly lower cost. This document is not an offer of securities for sale nor the solicitation of an offer to purchase securities in France, in the United States or any other jurisdiction. The securities described herein may not be offered or sold in the United States or to, or for the account or benefit of, U.S. persons unless they are registered or exempt from registration under the U.S. Securities Act of 1933, as amended (the “Securities Act”). The securities described herein have not been and will not be registered under Securities Act and Rexel does not intend to make a public offer of its securities in the United States. The offer and sale of the Notes in France will be carried out through a private placement in accordance with article L.411-2 of the French Financial and Monetary Code and other applicable laws and regulations. There will be no public offering in France. Lennar International is a division of one of America’s largest homebuilders, Lennar Corporation (NYSE:LEN). 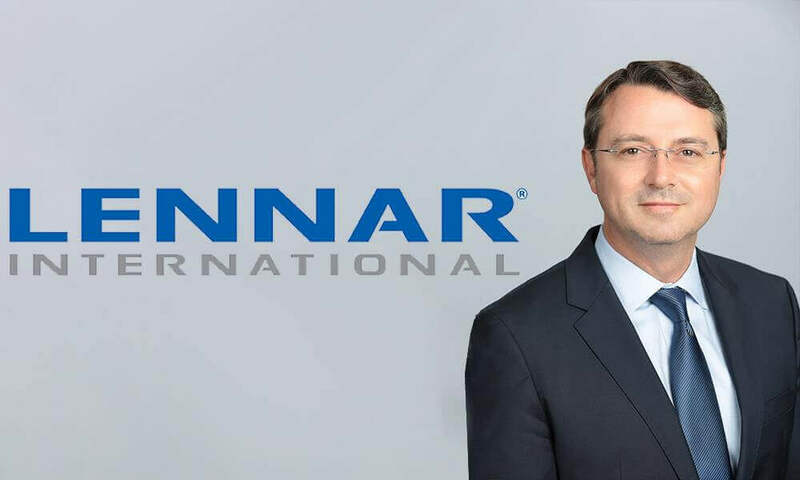 Lennar International raises and directs foreign investments in Lennar through home sales and the United States’ EB-5 immigrant investor program and matches foreign capital with opportunities throughout the Lennar platform. Lennar has established one of the largest geographically diverse real estate portfolios in the United States, including for sale homes, for rent homes and apartments, large master planned communities, commercial and other asset classes. 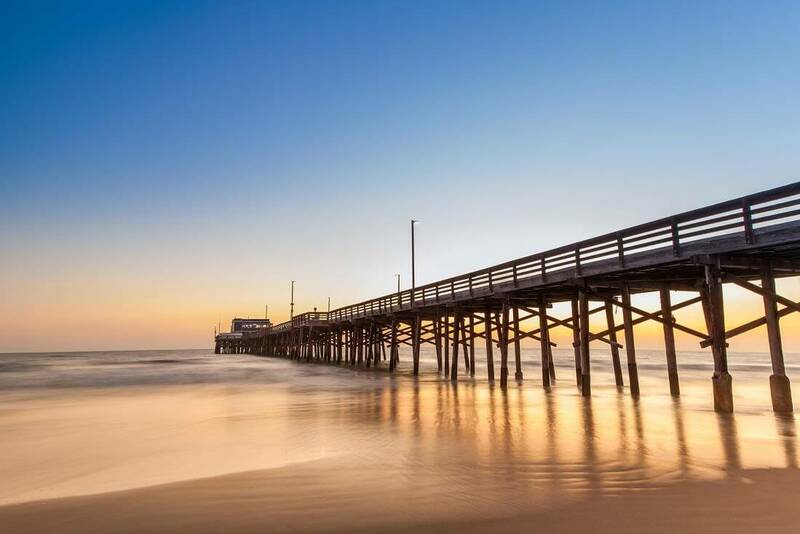 Lennar is recognised as an intelligent underwriter of all manner of land positions and is a prolific purchaser, and seller, of land in the United States. The Lennar brand exemplifies our guiding principles – Quality. Value. Integrity. Recently, Lennar International has become a beacon for foreign direct investment into the Lennar U.S. real estate eco-system, helping attract well over $4.5 billion across the platform over the last three years. Chris Marlin tells us more about his role within the organisation. The firm’s success lies in the testimonies of its customers, who have nothing but praise for the company. With regards to the future, Chris foretells both opportunities and challenges for the firm, and for the industry also. “There is a lot of uncertainty about the world. We need to remind our partners and potential buyers that despite this uncertainty, the US offers endless reasons to invest in real estate, as long as you are investing with an experienced, consumer-oriented, transparent and highly regarded builder, co-investor, operator … like Lennar. Lennar is happy to roll out the welcome mat for everyone. Systematic global macro managers have a track record of producing positive annual returns for more than three decades with low to negative correlations to traditional asset classes and hedge fund strategies. They can also be classified as global macro, managed futures, or trend-following/ CTA. The core methodologies used by systematic global macro programs are well-documented in academic and financial literature. Why ‘Systematic’ Macro instead of Discretionary? Systematic trading has significant advantages over discretionary styles. For example, one of the challenges faced by a discretionary trader is the control of emotions during critical points of market activity or personal performance. In contrast, systematic trading programs are emotionless and do not suffer from this issue. Investment decisions are based on decades of historical quantitative research and are carried out in a repeatable, systematic, disciplined manner. Since they are almost or entirely automated, trading systems are easily scalable and can thus far more readily accommodate new markets or new investor capital. Finally, systematic programs are typically more broadly diversified than discretionary traders, both in the number of markets analysed and in the types of strategies employed. – Portfolio Diversification – since its September 2003 inception, Red Rock’s SGM program has produced -0.08 correlation to stocks and 0.06 correlation to bonds. – Long or Short exposure to over 70 globally diversified, highly liquid commodity & financial futures markets spanning all market sub-categories: grains, precious and base metals, energies, foods & softs, currencies, interest rates, bonds, and equity indices. – Opportunity to be on receiving end of ‘Crisis Alpha’ – during the Great Financial Crisis (Sep ’07 – Feb ’09) our Systematic Global Macro program netted clients +75.52% returns, while U.S. stocks lost -48.14%, International stocks lost -51.92%, Commodities lost -43.69%, and Hedge Funds were down -17.01%. – SMAs offered at client’s choice of broker. Daily pricing, transparency & liquidity. – Regulated futures exchanges minimise credit risk and allow for standardised contract specifications. – Margin requirements are generally significantly less than in the cash markets, creating an opportunity to use leverage effectively. – Futures often get incorrectly labelled as ‘zero-sum’ because for every buyer of a contract, there is a seller – and all contracts eventually expire worthless. While this is true of how futures contracts logistically work, it does not speak to the inherent return that can be mined from successful systematic futures trading. 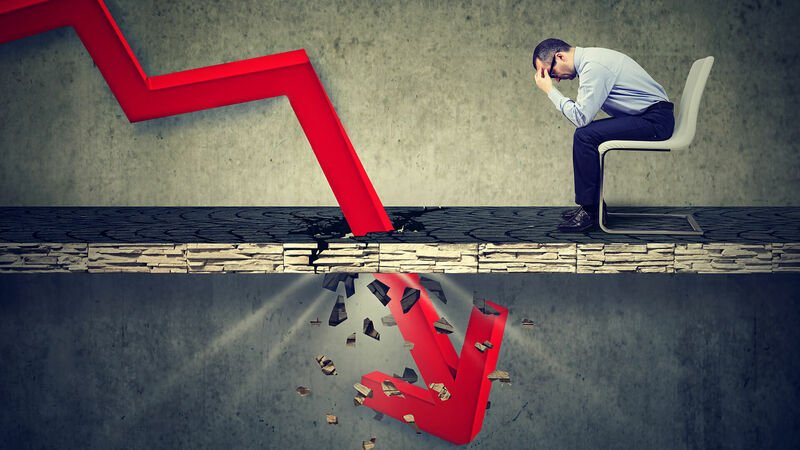 Hedgers, the very large group of market participants who wish to reduce their unknown future price risk, are continually willing to be on the receiving end of losing positions. This risk off-loading provides a risk premium for those skilled enough to be able to regularly capture it. – Also, as highlighted by Behavioural Finance, many large market participants exhibit ‘herd’ behaviour and sub-optimal psychological biases. How Red Rock Capital’s Systematic Global Macro Program works: g Basic statistics and quantitative analysis are used to put a framework around repeatable investor behaviour. – The strategy was designed from the ground up to systematically capture the risk premiums made possible by hedgers and inefficient market participants who exhibit herd behaviour / biases. – Technical data such as price, volatility, term-structure, and volume are statistically analyzed and trending environments in various markets are identified. – If legitimate trending behaviour is identified, a long or short position is initiated in a market. – Only a small amount of account equity is risked on each new position g Exits / stop-losses are pre-determined and aim to reduce risk and volatility. – Winning trends are kept in the portfolio; losing trades are jettisoned to preserve capital. – Over time performance has resulted in a payout profile that is similar to being long options; that is, the strategy experiences larger profits when a trend emerges, but relatively small losses when trends fail to materialise or reverse. Red Rock’s edge, stemming from one of the founder’s training, is that we incorporate Probability Theory in a unique and effective manner that increases the risk-adjusted returns of our Systematic Global Macro program. Why Red Rock Capital’s Systematic Global Macro? Almost 13 years of proven net performance to investors – much of it when they needed it most. With all of the uncertainty in the current global marketplace such as China’s currency interventions, Brexit, Bank of Japan NIRP, and FED attempts to continue to normalise rates, high net worth investors would be wise to consider a strategy that is ‘long volatility’ – and that has shown to prosper during times when traditional asset classes have struggled the most. Red Rock Capital is a multi-award winning commodity investment management firm. During 2016 Red Rock’s Systematic Global Macro Program will proudly celebrate its 13th anniversary. The firm is lead by Thomas Rollinger, most notably a devoted pupil and former protégé of quantitative hedge fund legend, Edward O. Thorp. Rollinger’s partner is Scott T. Hoffman, the original founder of Red Rock. Given recent developments with the firm, plus increasingly favorable market conditions, Red Rock is especially well-positioned to grow and thrive in the managed futures industry. 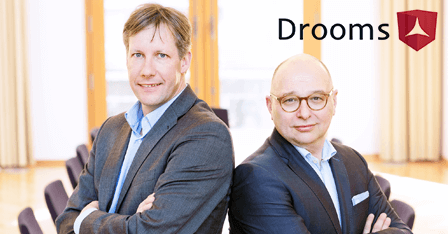 Drooms, the virtual data room provider, has recently strengthened its expertise in the field of lifecycle asset management with the acquisition of DealMarket. Here, Jan Hoffmeister tells us more about the purchase and Drooms’ plans to utilise its new-found assets going forward. Drooms (drooms.com) is the leading provider of secure cloud solutions in Europe. The software specialist allows companies controlled access to confidential corporate data across company boundaries. Confidential business processes such as commercial real estate sales, mergers & acquisitions, NPL transactions and Board communications are handled securely, transparently and efficiently by Drooms. Leading global real estate companies, consultancy firms, law firms and corporations such as the METRO GROUP, Evonik, Morgan Stanley, JLL, JP Morgan, CBRE, Rewe and UBS are among Drooms’ client base. Co-founder and chairman of Drooms, Jan Hoffmeister, tells us more about the firm and its areas of specialism. 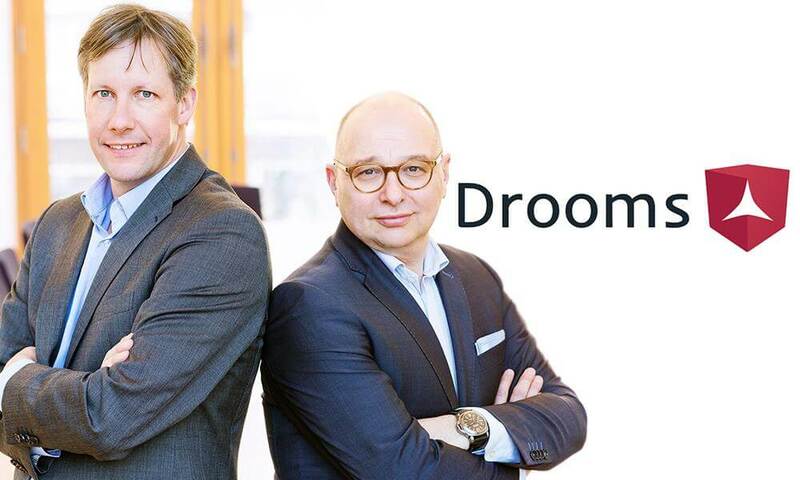 To support investors in preparing for due diligence with the aid of thorough reporting, Drooms decided to acquire DealMarket, a Swiss FinTech company specialising in the management of complex investment projects. Thanks to DealMarket, investors have a tool where they can set up customised deal flows, enabling them to organise and monitor every step of their investment activities until the moment of truth, i.e. due diligence. Jan explains more about DealMarket and the rationale behind the acquisition. Overall, the addition of Drooms helps clients with the latter stages of the investment cycle. While DealMarket helped you choose the right deals, Drooms’ data rooms make it easy to finalise the acquisition. With regards to the future, Jan tells us how Drooms intends to stay one step ahead of the game. “We have a large team of developers on-site,” he explains. “As the core of our company is its technology, they work every day to make sure Drooms NXG is a carrier of the newest technological developments. For instance, we have simplified one of the most demanding and at the same time crucial tasks within due diligence: the Q&A process. Thanks to our Q&A tool, customers can set up even the most sophisticated process completely by themselves. A feature that legal experts especially appreciate is the Findings Manager, the module allowing for the assessment of risks and opportunities inherent to a deal. Zebra Technologies’ products and solutions are currently used by 95% of Fortune 500 companies across the manufacturing, healthcare, transportation and logistics and retail industries. Zebra’s IoT-enabled devices and solutions have improved everything from efficiency for global shipping networks to retail stocking environments. With the unparalleled visibility Zebra provides, enterprises can become as smart and connected as the world we live in. 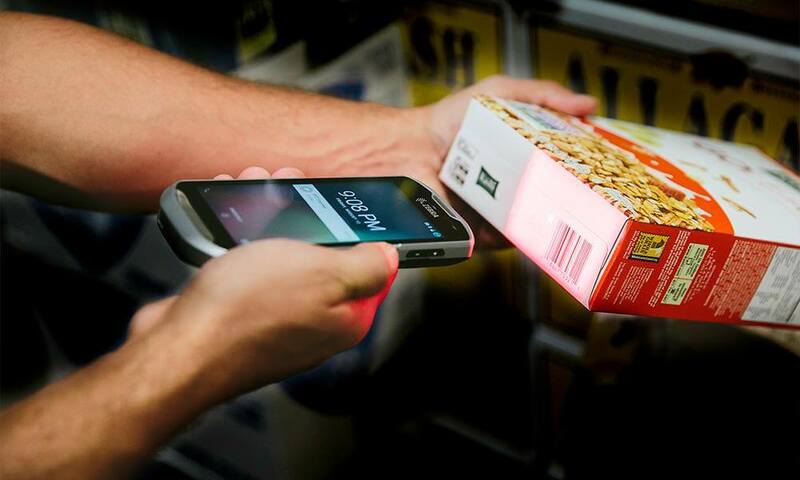 Among the firm’s recent innovations is the Zebra SmartSense™ for Retail asset visibility solution, an Enterprise Asset Intelligence (EAI) offering that delivers deeper visibility into retail operations, provides better business insights and enables smarter decisions. This innovative solution combines UHF RFID, video and a new micro-location capability — to identify and track the journey and location of merchandise, associates and shoppers in a retail store in real-time. A powerful edge analytics engine analyses data from these sources to provide intelligent, actionable insights to achieve optimal stocking levels, detect and identify misplaced merchandise or assets, pinpoint theft and enhance store promotions and product placement activities. In addition, Zebra’s TC8000 touch mobile computer drives significant gains in productivity in warehouse operations and decreases worker fatigue with its ergonomic design. This product earned the Red Dot Award for Design Innovation in 2016. Zebra also recently introduced the next evolution in enterprise mobile computing: the TC5 Series touch mobile computers. 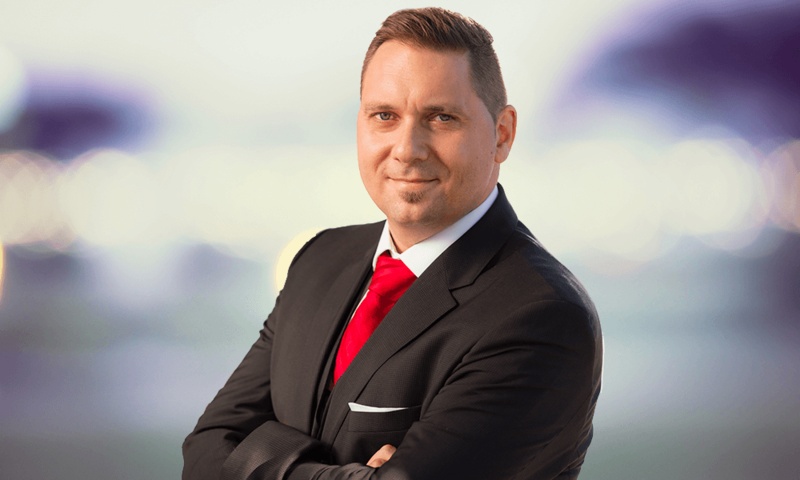 As part of its dedication to supporting clients and providing them with the very best solutions that meet their needs, many senior staff work closely with clients, including CEO Anders Gustafsson. Working with customers, partners, investors, employees and other stakeholders to help improve enterprises by connecting the physical and digital worlds to drive innovation, efficiencies and global economic growth, Anders supports the creation of the “intelligent enterprise”. The rate of technological change is rapid, and businesses need to be able to adapt quickly to keep up. Zebra’s solutions offer real-time operational visibility into their enterprises to help them achieve this goal, as he is keen to emphasise. 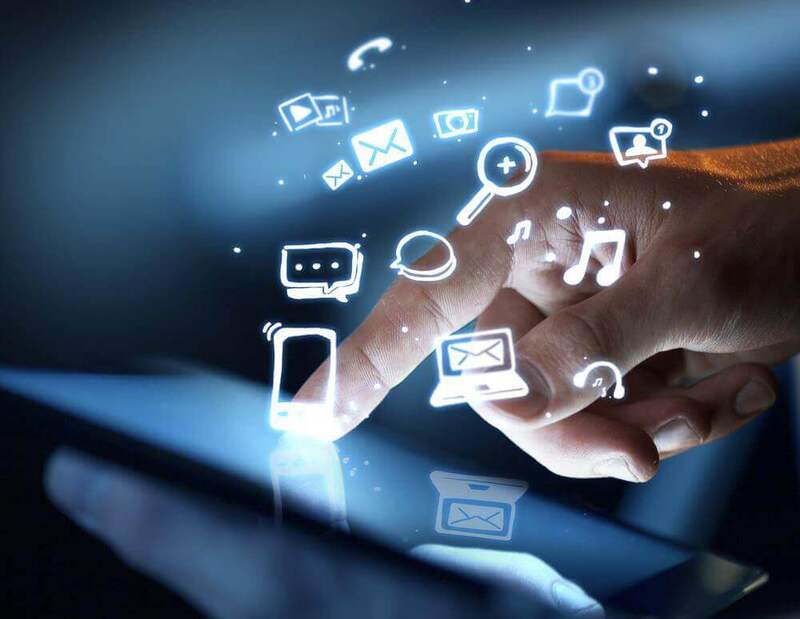 “Overall, the greatest challenge in our increasingly connected world is successfully adopting and leveraging new technology to provide operational efficiency and agility in real-time. Despite the potential that IoT presents, it is only with the proper set of enabling technologies that enterprises can extract the full value from their IoT investments. Zebra is helping enterprises adopt a more dynamic workflow through IoT-centric sensor technology, powerful cloud computing software, and connected enterprise-class mobile computers. Therefore, in order build upon this success, over the coming years Zebra will continue to work toward realizing its company’s vision to create a smarter, more connected global business community, together with its partners, to offer better operational visibility to enterprises around the world. Focuses will include converting the physical to the digital, giving businesses insights into the location, motion and state of their assets, people and transactions and then harnessing this new wave of technology with Enterprise Asset Intelligence (EAI). EAI refers to a businesses’ ability to obtain real-time visibility into every aspect of its operations, enabling them to improve productivity, reduce expenses, empower mobile workforces and increase opportunities for sustainable growth. 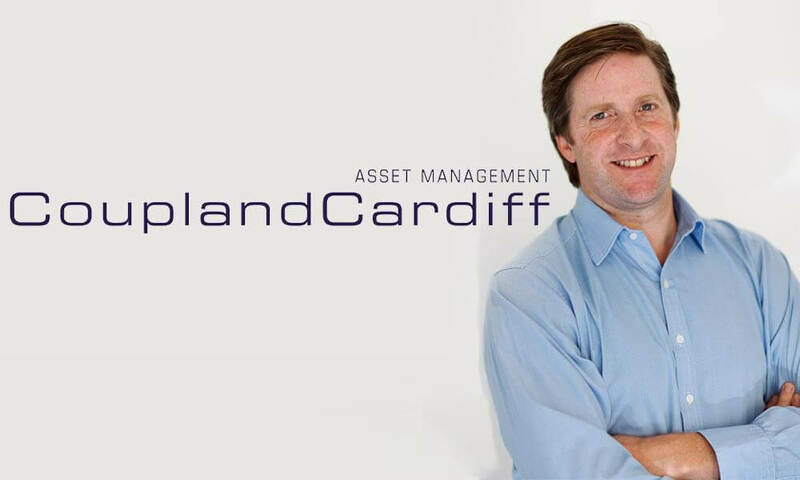 Coupland Cardiff (CCAM) is a specialist Asian and Japanese fund management group, focused on managing capacity constrained, performance focussed funds within a risk controlled framework. 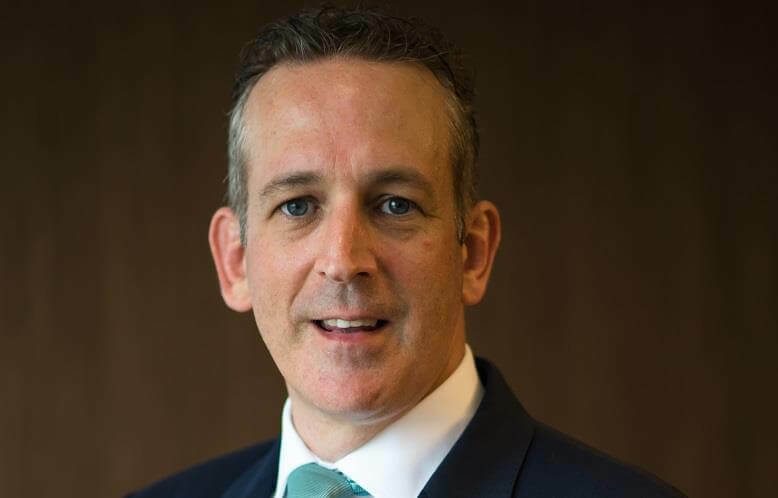 Richard Cardiff is CEO of the firm and he tells us more about its ongoing strategy. “We follow a bottom-up, fundamentally driven research process, focusing our time on detailed company visits and proprietary analysis. We believe that over time this will achieve superior results. “In order to further enhance returns for our investors, we believe that all funds should be capacity constrained, concentrated and freed from any benchmark constraints. This allows us to express our best ideas. In December 2015 CCAM launched the CC Japan Income & Growth Trust plc, the first Japanese Investment Trust for 20 years. It was also the first income orientated Japanese investment trust to be launched. Managed by Richard Aston, who also runs a similar open-ended strategy and despite difficult market conditions, it now has nearly £100m in net assets. In addition, last year the trust met its stated dividend of 3p per ordinary share. The share price has also increased by 22.4%. 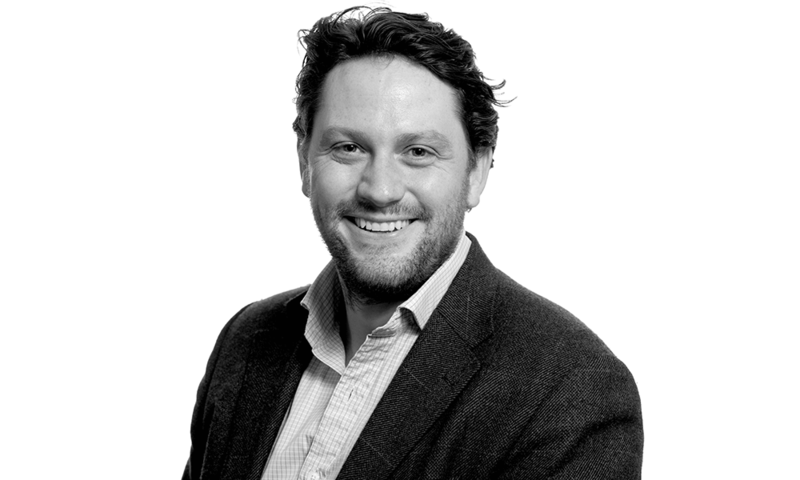 As CEO, Richard is tasked with overseeing the management of the firm, sales and marketing activities, as well as overseeing the management of all operational aspects involved in delivering excellence to clients, however he is quick to praise his dedicated team. “Being a boutique asset manager, our staff are everything to CCAM and the quality of our staff is, we believe, second to none. All play a significant role in the success of the firm from front to back office. CCAM is wholly owned by members of the team and as such is not distracted by external factors or required to make compromises to our main objectives, which are to achieve excellence in three key areas: investment performance, operations and client service. Testament to this is the fact that staff turnover has been very low. With regards to the future, Richard sees both opportunities and challenges ahead, for 2017 and beyond. Not least the fact that more investors are moving away from the crowded and unproductive centre-ground offered by more generalist funds into both the EFT and the highly active fund specialist market. “As a specialist, we are perfectly placed to benefit from this trend,” he comments. The reporting and analytics team at Qtrade is the other half of the finance team along with the corporate accounting team. 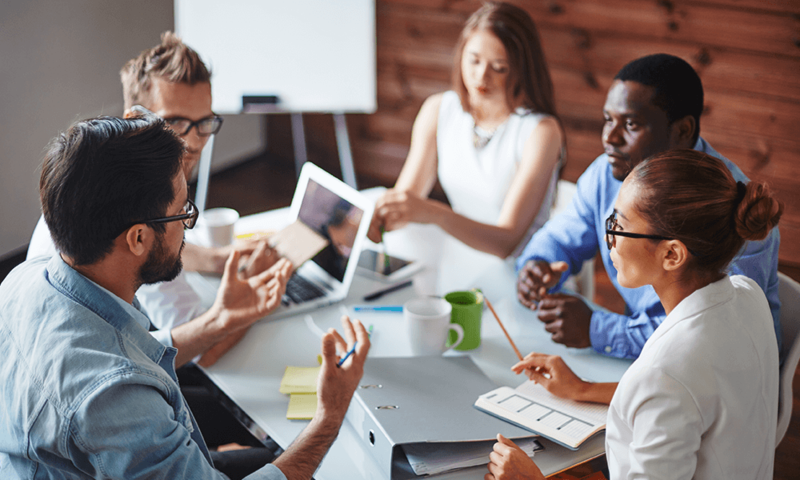 While each team has their core responsibilities, the two teams are tied at the hip and have a reliance upon each for information and data exchange. analytics team not to only provide reporting and analytics to the individual entities, but also provide key, critical corporate data and maintain a holistic view of Qtrade. At most firms, the role of Business Intelligence (‘BI’) usually falls under the realm of IT. BI is traditionally an IT based function that consists of databases and technical based employees who use databases to create code to produce reports for business users. While the technical employee is familiar with the data and producing code, it is the business users who provide most of the analysis and vetting of the output. However, in 2015 Qtrade essentially created a new reporting and analytics department under the CFO to take over the BI function. It is my honour and responsibility to lead this team. At Qtrade, BI is part of the reporting and analytics team, meaning that unlike most firms it is a finance function and not an IT function. In order to accomplish this goal of moving the BI function to finance two things had to occur; first an investment in technology and second, creating a team of financially based analysts who could not only perform the analysis, but write the code to draw upon the data themselves. For the technology part, Qtrade has created a SQL based data warehouse. While data warehousing is not unique or proprietary to Qtrade, it is an evolutionary step forward for the firm. The challenge with being a multi-line of business firm is that many of the lines of businesses have their own or multiple pieces of software that are used during the course of the day, all containing data. While the data warehouse is now functional at Qtrade, we are still adding new data sources to it. At Qtrade we have identified 26 disparate systems of data we will be incorporating into the data warehouse to provide a single source of information for the whole firm. Combining these disparate data sources, of which two are the finance database and the ERP into one centralised system allows the reportingand analytics team to create some very thorough financial analysis oftrades, assets, clients, lines of business etc. to create new holistic reports,channel profitability statements, an A to Z cost per trade analysis and so on. These are items Qtrade would not have been able to produce without this new team. The team does not have to go looking for information, we are the single, central point of data and information. We ensure that when there is a report, a KPI, a data point, that it should only be provided by reporting and analysis to create reporting and data integrity across the firm. In too many firms, and historically Qtrade was no exception, you had multiple people producing similar reports with inconsistent output. At Qtrade we are well down the path to eliminating this. While the reporting and analytics team does have a technical resource on it to maintain the ETL’s and databases, the rest of the team are finance based analysts who have the ability to code. The team has a mixture of finance, economics and statistical undergraduates and almost every member of the team has or is pursuing a financial designation such as the CPA, CFA and MBA. At Qtrade, we expect that our financial analysts to be fluent in coding and be able to talk about such items as data fields and schemas as well as profitability and gross margins. At Qtrade we firmly believe we are the new breed of financial analysts where finance and IT crossover. We are a hybrid of finance and IT. By being a hybrid of IT and finance, this creates many opportunities for Qtrade, not the least being efficiencies. By being the familiar with the source data and also being financially savvy, it reduces the amount of back and forth between the end business user for who the reporting and analytics is being created for. However, since the analyst can do both the coding and analysis and is familiar with not only that particular line of business, but what is happening corporate wide, it allows the analyst to provide additional insight to the request. It also allows the team to create their own analytics to support both the CFO and CEO. We turn data into information that decisions can be made on. The hiring challenge for Qtrade is to find this unique set of individuals, who also possess soft skills such as customer service as the team does see itself as a customer service team to both our B2B partners and internal customers. However, we hold the firm belief that in 10 years from now the hybrid analyst will become the industry standard and we here at Qtrade are trying to be on the cutting edge of creating the new hybrid world of finance and technology! Swiss International is a financial services company that facilitates the entire process of participating in global financial markets. Being an integrated service provider – they cover the entire process from ‘research and advisory’ services – to the ultimate ‘execution and clearing’ of a transaction. In a special interview, the firm’s Ahmad Shibley reveals more about the world-class quality services they provide for their clients’, and their unrivalled reach into global markets. The firm is both an asset management company and a finance Boutique with exciting plans and high hopes for the future. We have worked hard to put together a highly-qualified team of professionals, from the most junior sales executive to the senior management. A cosmopolitan culture consisting of people from various cultural, social and professional backgrounds allows us to interact with and accommodate effectively clients with differing backgrounds and expectations. Some of the most respected and highly renowned names in the country provide the backing and support to our company, which lends us the highest level of recognition socially and professionally. What specific areas does your firm specialise in? with a face value much larger than the amount provided upfront as a deposit/security) and this leads to unmatchable rates of returns. Whatever and wherever clients want to trade, our trading platforms offer unparalleled access to the most liquid financial markets in the world. Online and mobile trading services ensure that you are never more than a click or two away from the client’s next trade. How does your firm stand out from the crowd in these competitive times? We are continuously working on developing our IT infrastructure 24/7, we have a specialised IT team of about 15 individuals from various IT backgrounds, all of whom work nonstop to improve and introduce new products to our clients. 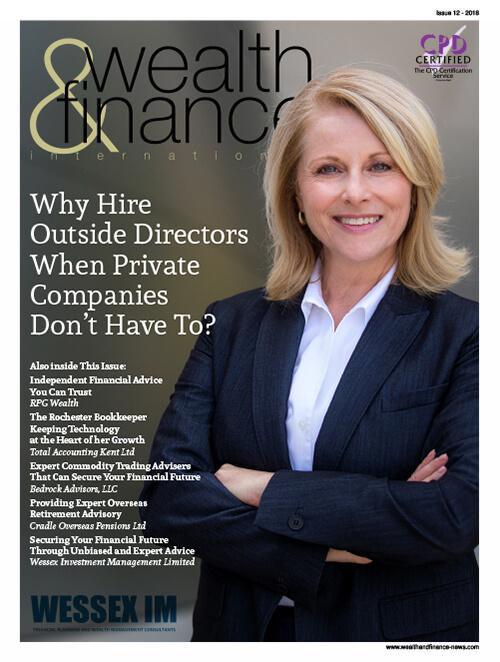 In the world of finance, IT is crucial to ensure that we can offer services to clients and meet their expectations. We have recently launched our new client onboarding and management platform, called ‘Private Cabinet’ which has improved the effectiveness and speed of client onboarding on a real-time basis. Hence clients can open up an account online from anywhere in the world, and have it approved in real time and fund their account in real time 24 hours a day, 7 days a week. This has proved to be very successful with many of our clients who come from a variety backgrounds and cultures, since our ‘Private Cabinet’ product is available in several languages. Through this product, our clients can also open real-time sub accounts, carry out internal transfers (real-time) and perform withdrawals and funding. Clients can also try out our ‘Private Cabinet’ by visiting my.swissfs.com (which is mobile friendly and we will soon be launching an app on smart phones platforms, but trading platforms are already available as an app). Technology is therefore our backbone and it as what we work on to give us a competitive edge against others in the market. How does it feel to have won the award Asset Manager of the Year 2016? It feels great to have been nominated, and indeed to win this prestigious award! This will give the whole team here much motivation to work even harder and to achieve other awards too. The asset management side of the business here is a fairly new division, because our core focus and strength is on providing clients that want to trade international markets with a brokerage account, and we have provided such a platform for over 15 years. While this had been the firm’s core focus, a few years ago, we started received queries from existing and new clients asking about managed accounts, because they did not have the time to trade on their own or the experience to do so. How is your company performing at present? 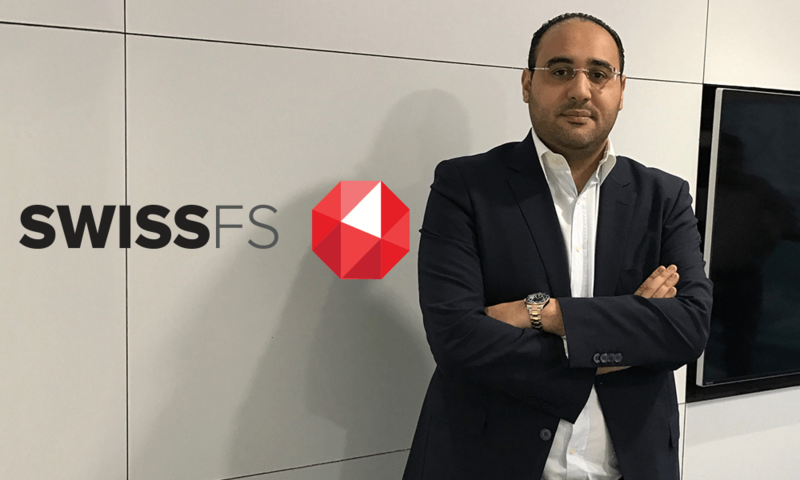 The company is currently in its growth stage and we are expanding to other countries and regions, indeed we are really excited about our expansion progress and we will soon open up two new offices in Saudi Arabia, in Riyadh and Jeddah. On a personal level, my focus is on leading the expansion strategy that has been approved by the board here. Can you tell me about your own role in the firm as CEO, and the reputation you have gained for providing your clients innovative and successful money management and advisory services? I am currently the CEO of Swiss International Financial Brokerage Co, having been a founder of the company. Since its inception in 2001, I have worked in all the departments from back office to sales and so on. As the CEO, my overall focus is on the achieving the goals set by the board, whilst at the same time achieving full client satisfaction. As for providing our clients with innovative new products, we recently launched our Emerald Fund Managed Account Program in 2016. It has proved to be an instant hit with our clients. Having achieving above average returns, whilst at the same time reducing the risk and overall exposure. 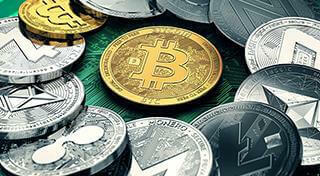 The program is managed by one of our expert fund managers, who has over 22 years’ experience as a trader. Can you provide some more insight into the Emerald Fund Managed Account Program? Emerald Currency Fund offers investors the opportunity to invest directly in the FX Market and potentially benefit when this decreases or increases in value, relative to others. ECF is actively managed on a day-to-day basis and may hold long and short positions in up to twenty currency pairs. The fund is a combination of long-term trend trading and day trading, based on intraday volatility. ECF team has been testing different trading strategies for years and has built the model that consists of our best strategies, which combine long and short term trading. We have a dedicated trading team who work around the clock – monitoring our trades, positions and model and adjust parameters – based on the expectation, news or any possible shock to market. Moreover, we collaborate with a team of analysts that are feeding our trading desk with exclusive research and potential moves in the currency market, based on fundamentals. What role the staff play in the success of your company? First of all, we are proud of our people, and secondly the technology we use. I believe that one does not work without the other. Indeed, it is our people who create growth, builds value and the overall growth that we have achieved. Our staff come from a variety of different cultures, something that brings more tolerance and understanding of each other, because the staff spend more time with colleagues their families at times. We are therefore proud of the firm’s culture and are continuously working on improving the human capital aspect of our work. What challenges and opportunities do you and your company face in the future? Swiss International Financial Brokerage’s most important challenge is always working around the clock to beat our current technology and outpace the market with new and exciting developments. Our second challenge is that along with our expansion into new markets, we have had to work with new regulations that are sometimes more like a barrier to entry into such new markets. As for opportunities in the future, with our expansion into new markets we are working to turn the firm into a publicly listed company that the employees can have a percentage ownership into the company that they helped to build, hence working harder! Just a reminder to our readers is that Swiss Finance is not just an asset management company, but it is also a finance boutique. The company is actually a brokerage house with an asset management department. Hence, we essentially provide a one-stop-shop to all our financial needs and requirements. I would be always more than happy to be answer any questions your readers may have and they can get in touch at any time by using the contact information below. Company: SWISS INTL. FINANCIAL BROKERAGE CO. K.S.C.C. The October data shows an annual price increase of 6.9% which takes the average property value in the UK to £216,674. Monthly house prices have risen by 0.1% since September 2016. The monthly index figure for the UK was 113.6. In England, the October data shows an annual price increase of 7.4% which takes the average property value to £232,655. Monthly house prices fell by 0.1% since September 2016. Wales shows an annual price increase of 4.4% which takes the average property value to £147,065. Monthly house prices have risen by 1% since September 2016. London shows an annual price increase of 7.7% which takes the average property value to £474,475. Monthly house prices fell by 1.2% since September 2016. – the North East also saw the most significant monthly price fall with a movement of -1.3%. Home sales in the UK increased by 1.0% between September and October. Compared with October 2015 the level of home sales in October 2016 is 8.0% lower. See the economic statement. – the lowest number of repossession sales in England and Wales in August 2016 was in the East of England. Access the full October UK HPI. For more information, click here. 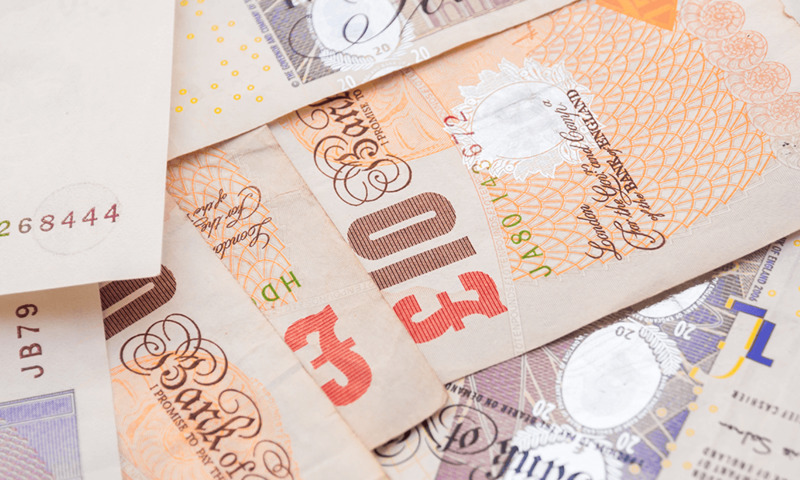 Based on a review of the feedback received, issues seen during the supervision of crowdfunding platforms currently trading and consideration of applications from firms seeking full authorisation, the FCA believes it is appropriate to modify a number of rules for the market. • The complex structures of some firms introduce operational risks and/or conflicts of interest that are not being managed sufficiently. • The FCA have challenged some firms to improve their client money handling standards. The FCA plan to consult on additional rules in a number of areas. These include more prescriptive requirements on the content and timing of disclosures by both loan-based and investment-based crowdfunding platforms. • Extending mortgage-lending standards to loan-based platforms. 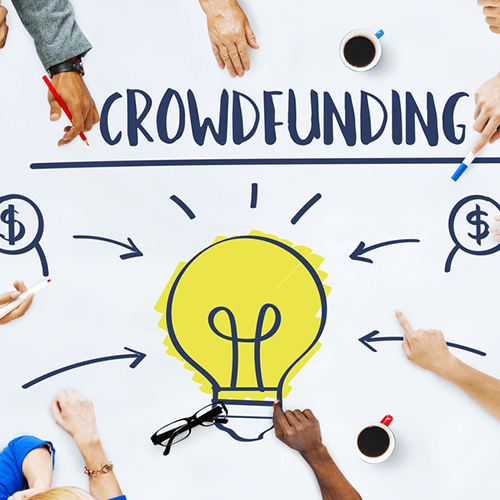 The FCA’s current rules on loan-based and investment-based crowdfunding platforms came into force in April 2014. They aimed to create a proportionate regulatory framework that provided adequate investor protection whilst allowing for innovation and growth in the market. The call for input in July 2016 launched a post-implementation review of these rules. The paper summarised market developments since 2014 and some of the FCA’s emerging concerns. Their on-going research and investigatory work should be completed early in 2017. At that stage, the FCA will complete the post-implementation review and determine whether further consultation on rule changes is needed. Responding to his update from the FCA on proposed new rules for the crowdfunding sector, RSM financial services partner Damian Webb commented, “The increased focus and oversight in the peer to peer sector has to be welcomed. The peer to peer sector has grown exponentially over the past five years, from small start-ups we now have large established financial institutions. The sector has benefitted from the “light touch” approach previously adopted by the FCA but noting the current and forecast scale of these institutions it is only right that the FCA looks to bring the sector in line with existing regulations and best practice. 1 in 5 prospective students expected to be financially stable with no money worries at all, yet a huge 70% label already themselves as skint and already in their overdrafts. Interestingly, prospective students shared that they expected their parents to support them financially each month, contributing on average £179 every four weeks to fund their wild and wonderful lifestyle. However, the reality data shows that 50% of students receive nothing! Those that do get financial help from their parents receive on average £2568 a year (£214 a month). With an estimated 1.1 million students in the UK, and 50% of those receive help… the total amount coming from banks of mums and dads across totals to £1.4 billion per year. The average student spends £65.70 a month on food, £354 a month on rent, £93.50 a month on bills, £38.50 a month on travel, £62 a month of beauty/fashion treats, and £64.50 on getting drunk and partying. 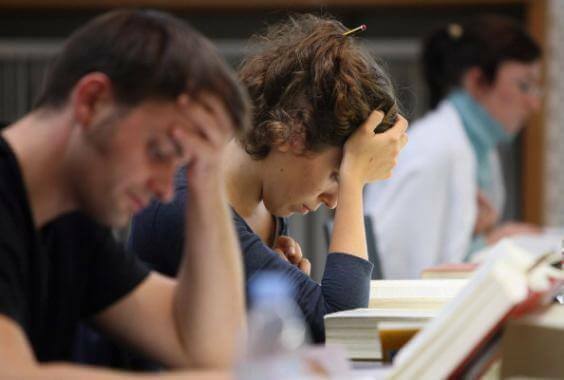 Despite the struggles, 53% of UK students don’t work whilst at University. 44% of students said they spent the majority of their money in fresher’s week on rent however a huge 42% said going out was their priority during fresher’s. 18% of students threw their money straight into a shopping trip during fresher’s week and 2% booked a holiday. 14% of students have a credit card as well as their loan to ensure they can make the most of their time living away from home. Living costs across the UK of course vary meaning the cost of being a student (income vs outgoings) are different for each region. When it comes to student housing, the majority of current students live in a run-down house shared with complete strangers. A huge 95% of students expected to live in a warm house – however, just 5% enjoy such a luxury. 15% of students can’t afford to heat their homes throughout winter, and, because of this, 1 in 5 live in a house that suffers with mould. It was found that many choose to sleep in numerous jumpers just to keep warm. Case study, Robert from York St Johns, lived in a corridor with a bed sheet as a curtain for 12 months to evade sky high renting costs in the city. Read about his experience here. Students were found to spend just £16.40 on their weekly shop with 1 in 4 expecting to share meals with everyone in the house, cooking large batches to make it cheaper per head. However, a huge 70% of students said they don’t share their food and 18% even admitted to arguing over cupboard and fridge space. 1 in 3 expected to lose weight as a student, but the majority don’t! On average each student adds 14lb to their waistline. However, this can’t be blamed on an increase in takeaways – as a huge 36% said they can’t even afford one! Expectations of life after graduation are a bit more realistic! Just 16% of students expect to graduate with a first class degree, the majority expect to have a salary of less than £15,000 a year and just 12% of students expect to own their own house once they finish. The reality data of life after graduation shows that the majority (42%) graduate with a 2:1, interestingly the average student moves onto a post-grad salary of £24,498.35 a year. However, it’s not all sunshine and rainbows for some! More than 1 in 4 graduates move back in with mum and dad and their dreams of travelling the world before starting their career are diminished! Explore the full study here. Award-winning plantation management company Asia Plantation Capital held its Thailand Annual General Meeting on Saturday, 21 October 2016, at the Renaissance Bangkok, Thailand. Asia Plantation Capital is delighted to announce that despite the slowdown in global economic activity, its revenues grew 6% in Thailand and similarly increased by around 4.5% in Singapore in FY2015. Addressing the crowd of 300 Thailand-based plantation owners and stakeholders, Mr. Barry Rawlinson, Chief Executive Officer of the APC Group, opened the AGM by detailing how the company expanded its horizons with exponential growth throughout 2016, despite facing several challenges. Mr. Rawlinson also spoke about the ongoing effects of climate change in the agriculture sector, and how the company has worked tirelessly to address the relevant issues and mitigate the negative effects. 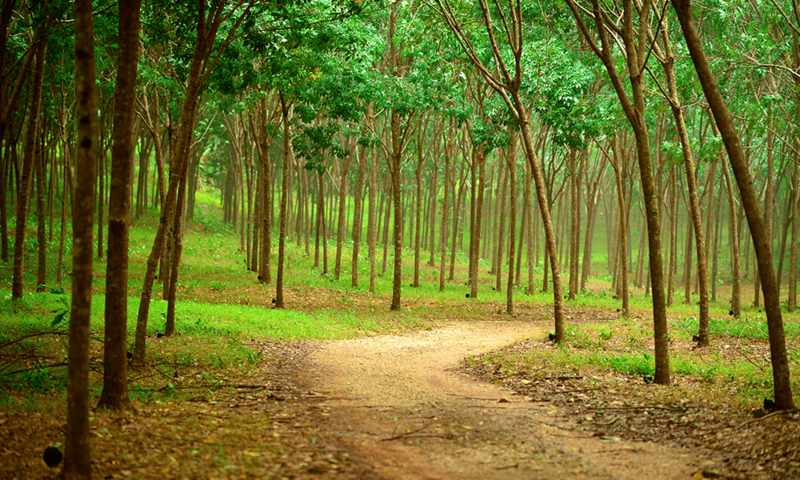 Asia Plantation Capital remains steadfast to its ethos of ‘holistic sustainability’. Throughout 2016, the company has embraced programmes and directives that are more than mere Corporate Social Responsibility projects, ensuring that equal care, consideration and encouragement are given to all members of staff — from top and middle management all the way through to plantation workers and their families. Jinda Tonkhambai outlined the details of past projects, as well as those that have been carried out over the last year, from which many local communities have benefited. Asia Plantation Capital’s projects have focused on local infrastructure – such as schools and places of worship – improving the lives of all the people who live in and work around the company’s areas of operation. Three 4th year students from the Faculty of Forestry, Kasetsart University, Bangkok, were also presented with scholarships at the meeting, comprising the payment of tuition fees of up to THB 150,000 over the course of four years. In light of the company’s ongoing expansion and the additional plantations that are needed to meet the growing demand for products, Phanitta Matwangsaeng from General Administration, updated attendees on the processes and due diligence carried out prior to the purchase of land. Technical details, such as the land designing process, plot diagrams, water systems, and tree management systems, were also further explained by architect, Phoom Matwangsaeng. Nadiah Abdullah, Operations Manager, presented the significant milestones that have been reached this year on behalf of Asia Plantation Capital Berhad (APCB) – the Malaysian arm of the APC Group – with the emphasis placed on the major joint ventures that have been entered into, as well as the breakthroughs that were made in research and development. The factory – the largest agarwood distillery in Southeast Asia – now sees some new manufacturing processes, as well as an expanded nursery facility and a laboratory with state of the art equipment to monitor oil quality and production methods. One of the most significant achievements for APCB has been the recent recognition and unconditional approval of its products by the SSM (Suruhanjaya Syarikat Malaysia) which is Malaysia’s equivalent to the MAS (Monetary Authority of Singapore), and the FCA (Financial Conduct Authority) in the UK. Experts in the field, Robin Jewer – Agricultural Director, and Boonchuay Jomkhamsee – Forestry Specialist, provided information on the current state of Asia Plantation Capital’s plantations that were affected by excessive rainfall, along with the measures that were taken to deal with erratic weather patterns. For example; all company plantations now manage the risk by using rain gauges and moisture measuring metres to ensure that a tree has access to just the right amount of water. This in turn, significantly reduces water usage, as well as the power that is required to pump water. Special Scientific Advisor and Associate professor, Dr Pakamas Chetpattanondh, from the Prince of Songkla University, also presented the audience with her ongoing research on the medicinal and healing benefits of Oud oil – specifically regarding its anti-ageing properties and its potential efficacy in treating various forms of cancer. Described as ‘the miracle plant’, Asia Plantation Capital is now heavily invested in bamboo as another ‘agrocrop’ in which the group of companies perceives a great deal of potential. 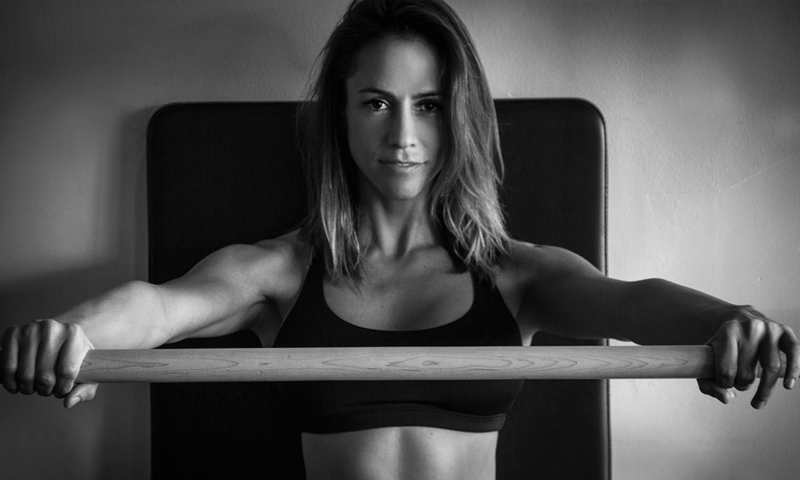 As yet another part of the group’s commitment to securing innovative, sustainable, commercial solutions and new technologies, it is supporting Boo-Tex™, which is developing a new range of luxury bamboo fabrics for the fashion and sportswear industries. Mr Roger Hargreaves, Chairman of Asia Plantation Capital Thailand, took the opportunity to update the attendees on the exciting developments in the sector and provided a comprehensive overview of the ever-expanding commercial bamboo landscape. The audience was also given updates on French, niche, luxury perfume house, Fragrance Du Bois, by Clotilde Antoine, Brand and Retail Manager. The young and innovative brand scaled new heights this year with new partnerships being forged, and openings in Paris, Hong Kong, Milan, Marbella, and its very own European flagship boutique in Geneva. Additionally, the brand also decided to widen and augment its portfolio of products with the introduction and launch of an alcohol-free ‘Lite Attars’ collection and ‘Nature’s Treasures’ – an original collection of hand-blended, non-Oud based perfumes, using only natural ingredients of the finest quality. Asia Plantation Capital also announced that it will be entering into exclusive ‘off-take’ agreements with Fragrance Du Bois and a to-be-announced beauty and personal care company – ultimately increasing the demand for the Oud supplied by Asia Plantation Capital, and further securing the end market for Asia Plantation Capital produced agarwood products. It was also revealed during the meeting that the Asia Plantation Distilleries ‘super distilleries’ are expected to be fully operational by the year 2020. CNH Industrial N.V. announced today its agreement to acquire the agricultural Grass and Soil implement business of Kongskilde Industries, part of the Danish Group Dansk Landbrugs Grovvareselskab. 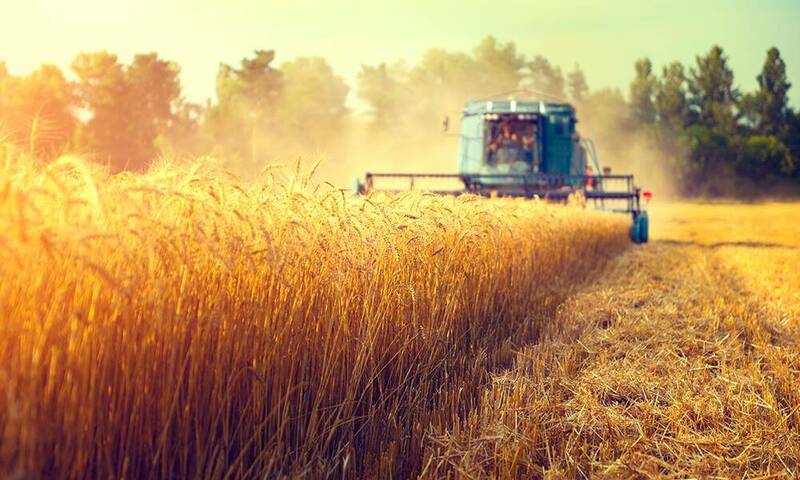 This business develops, manufactures and sells solutions for agricultural applications in the Tillage, Seeding and Hay & Forage segments under various brands, including Kongskilde, Överum and JF. The acquisition comprises a transfer of assets related to the Tillage, Seeding and Hay & Forage activities of Kongskilde Industries. The manufacturing footprint of this business includes two plants in Europe, located in Poland and Sweden. The transaction is subject to various closing conditions, including regulatory approvals. As a result of the agreement with DLG A.m.b.A., CNH Industrial’s global agricultural machinery brand New Holland Agriculture will undergo a significant product portfolio extension that will strengthen its Tillage, Seeding and Hay & Forage product offering. New Holland has a long-established leadership in the hay tools segment going back to 1940 with the introduction of the first self-tying baler to American farmers, a major breakthrough in hay harvesting. Today, New Holland is a leading global brand and an industry-leader in North America in hay tools with a complete product offering of hay equipment used in a variety of agricultural, dairy, and livestock industries. “We are proud to welcome the well established products and brands of Kongskilde, Överum and JF into the CNH Industrial Group. It is our intention to build upon these proud heritages and significantly increase their market access as part of our worldwide distribution network,” commented Richard Tobin, CEO of CNH Industrial. The world’s leading hotel company, Marriott International, Inc, today announced plans for the construction of three new hotel properties in Cape Town, in partnership with the Amdec Group. These will be three new hotels in the city: one under the company’s signature brand, Marriott Hotels®, which will be the first Marriott Hotel in Cape Town; the second under the upscale extended stay brand, Residence Inn by Marriott®, the first for South Africa; and the third the upper-moderate tier lifestyle brand, AC Hotels by Marriott®, which is the first hotel under this brand for the Middle East & Africa (MEA) region. These three planned developments will add over 500 rooms to Cape Town’s hotel accommodation offering. Bringing 189 additional rooms to Cape Town, the AC Hotel Cape Town waterfront will be located at The Yacht Club in the Roggebaai precinct at the gateway to Cape Town’s waterfront, while at Harbour Arch (the current Culemborg node), currently the location of several major construction projects, will be the site of the 200-room Cape Town Marriott Hotel Foreshore and the 150-room Residence Inn by Marriott Cape Town Foreshore. This announcement is an extension of Marriott’s existing partnership with the Amdec Group, initiated in 2015 with the announcement of the development of the first two Marriott branded hotels in South Africa. These two properties, situated in the popular upmarket Melrose Arch Precinct in Johannesburg, are scheduled to open in 2018, and are the Johannesburg Marriott Hotel Melrose Arch and the Marriott Executive Apartments Johannesburg Melrose Arch. Amdec’s total investment in these Cape Town and Johannesburg developments amounts to over R3 billion between the two cities which will have positive economic spinoffs and a massive impact on job creation. 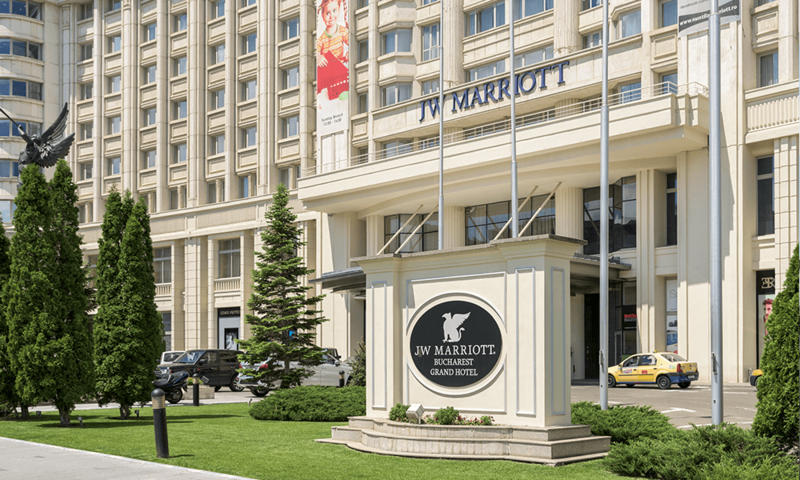 Marriott International’s growth plans for the continent are impressive: by 2025 the company aims to expand its current presence in Africa to 27 countries, with over 200 hotels and around 37,000 rooms. It is anticipated that, during the construction phase, approximately 8 000 construction related jobs will be created. Once the hotels are completed, over 700 new hospitality jobs will be created – 470 in the three new Cape Town hotels and 320 in Johannesburg. Cape Town’s importance in the world tourist market has been confirmed in recent years with the ever-increasing visitor numbers to the city. The addition of further accommodation to meet the growing demand will place the city in an even stronger position as a top global destination. DanSmoke, the number one electronic cigarette brand in Europe, is kicking off the New Year in a high-flying manner. The e-cigarette forerunner is joining forces with another European favourite, the airline giant Ryanair in an international ad campaign. The DanSmoke “luggage tag”, along with a discount voucher will appear on millions of boarding passes starting this month. With online shops in 18 European countries and with more planned for this year, DanSmoke™ is the leading name in the industry of electronic cigarette products. Now this fast-growing brand seems to have found its perfect match in Ryanair, Europe’s favourite airline carrier. The ongoing collaboration combines the global reach and scale of Ryanair, with the innovative products of DanSmoke in an effort to raise awareness about the benefits of e-cigarettes over combustible tobacco. 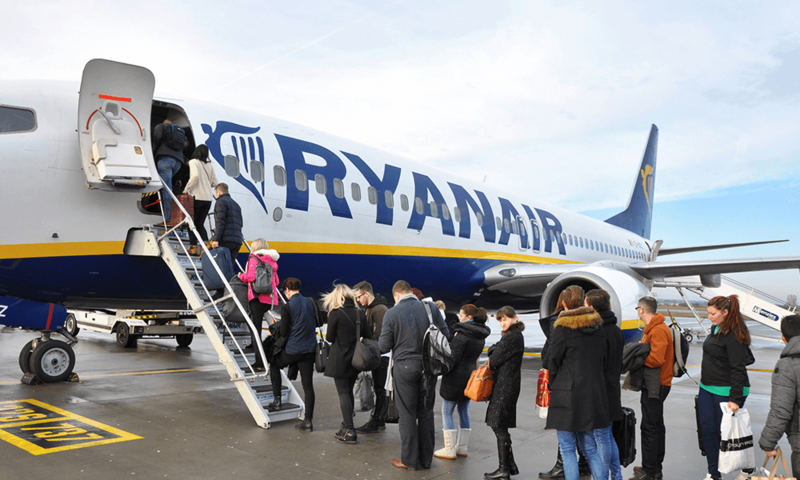 “We’re very pleased to be working together with Ryanair to promote our products. With 189 destinations in 30 countries, Ryanair covers all our current and future markets. So together we make a really great team,” said Robin Roy Krigslund-Hansen, DanSmoke’s CEO. Moreover, e-cigarettes, which contain nicotine, but no tar or carbon monoxide, have fast become a popular alternative for smokers looking for an efficient cessation aid that they can use everywhere – be it on the ground or up in the sky. DanSmoke has currently over 50 000 customers around Europe – a figure which is likely to rise, as new countries are added to the list of markets covered. The DanSmoke “luggage tag” will be featured extensively on boarding passes across the Ryanair network of destinations. During the campaign, nicotine-craving globetrotters can use their Ryanair boarding pass as a key to discount in DanSmoke webshops. Rexel, a global leader in the professional distribution of products and services for the energy world, announces the launch of a new employee share purchase plan, entitled Opportunity16, through which its employees will have the opportunity to acquire shares in the company by participating in a capital increase under preferential conditions. This offering will be open to nearly 90% of the Rexel Group’s employees, covering 14 countries. In most of the eligible countries, subscription will be through employee shareholding funds (“fonds communs de placement d’entreprise”, or “FCPE”) that received approval from the “Autorité des Marchés Financiers” (“AMF”) on June 17, 2016. Eligible employees will be able to purchase shares at a price of € 11.08 per share, corresponding to a subscription price equal to 80% of the average opening price of the Rexel share on the Euronext Paris stock exchange over the 20 trading days preceding September 5, 2016. The Opportunity16 subscription period will begin on September 12 and end on September 26, 2016 (inclusive). This new employee share purchase plan is the fifth such plan launched by Rexel following those offered in 2007, 2010, 2012 and 2013. Employee shareholding is a key component of its corporate culture and with Opportunity16, Rexel aims to actively engage its employees in its strategic roadmap as key contributors to the Group’s growth. Small businesses affected by Hurricane Matthew are advised that the Disaster Assistance Express Small Business Loan is currently offering funding in 24 – 48 hours. ExpressBusinessLoans.com will be processing applications starting October 7th for the next 30 days. There is no application fee and no down payment required. The application and supporting documents required can be submitted online. Hurricane Matthew is making steady progress towards the Florida coast and is expected to make landfall at late October 6th. Hurricane Matthew’s path is projected to wreak havoc along the east coast for the rest of the week with wind speeds reaching up to 140 MPH. This will be the strongest hurricane to make landfall since Hurricane Andrew, which inflicted nearly $46 billion in inflation adjusted damage. Unlike the SBA disaster loan programs, the Express Business Loan has no use restrictions and can be used to expand your business. No collateral is required. Insurance proceeds that result from Hurricane Matthew are not required to be applied toward the repayment of your loan balance. Personal financial statements are not required for approval or loan disbursement. Terms are available up to 3 years. Certain programs will require no personal guaranty. ExpressBusinessLoans.com wishes that the small businesses and communities affected by Hurricane Matthew are able to recover quickly. Following a 167,000 job gain in August, the economy generated 156,000 jobs in September. September’s steady but unspectacular employment numbers suggest that the combination of tight labor markets, falling profits, and higher wages may slow job growth in the coming months, but the news is not all negative. Though the unemployment rate rose slightly to 5.0 percent, this is largely due to rising labor force participation. Wages have now grown by 2.6 percent during the past year. A combination of more confident workers and still risk averse firms is making it increasingly difficult for businesses to find the right workers at the right price. One possible bright spot could come from the mining industry which was unchanged this month after two years of continued job losses. Higher oil prices, which the recently announced OPEC deal is helping to sustain, could lead drillers to reengage. The continued weakness in manufacturing may generate headlines among political pundits, but even in Midwestern swing states like Ohio and Michigan, health sector workers outnumber manufacturing ones. The chances of a Fed rate hike in December may have declined in response to the slowing pace of job growth, but this still remains the likely scenario. TheStreet, Inc, a leading financial news and information company, recently announced it is teaming up with Amazon to make its content available on all Alexa-enabled devices. “This partnership gives TheStreet the opportunity to bring its unparalleled financial reporting and market analysis to new audiences. 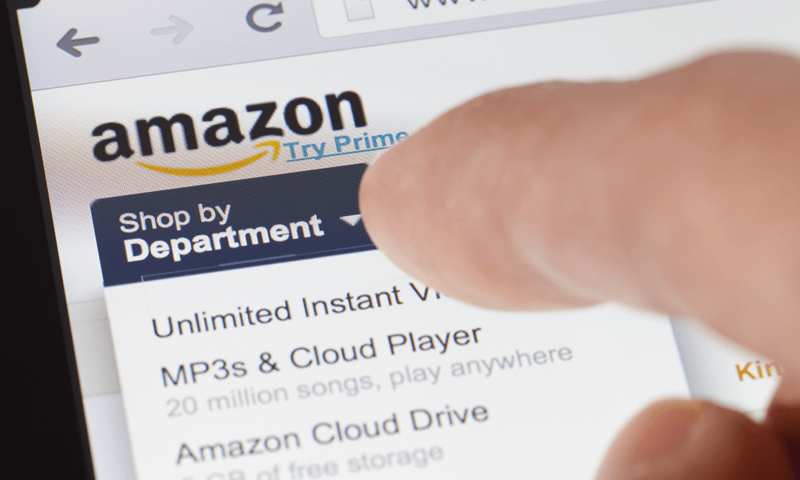 We’re proud to be content providers to Amazon and look forward to watching this platform grow,” said David Callaway, CEO of TheStreet, Inc.
Watch Jim Cramer, co-founder of TheStreet, Inc. and contributor to TheStreet.com, interact with Amazon Alexa here. TheStreet, Inc. (www.t.st) is a leading independent digital financial information services company providing business and financial news, investing ideas and analysis to personal and institutional investors worldwide. The Company’s portfolio of business and personal finance brands includes: TheStreet, RealMoney, Action Alerts PLUS and MainStreet. To learn more, visit www.thestreet.com. The Deal, the Company’s institutional business, provides intraday coverage of mergers and acquisitions and all other changes in corporate control, and through its BoardEx product, director and officer profiles. To learn more, visit www.thedeal.com and www.boardex.com. RateWatch provides rate and fee data from banks and credit unions across the U.S. for a wide variety of banking products. To learn more, visit www.rate-watch.com. 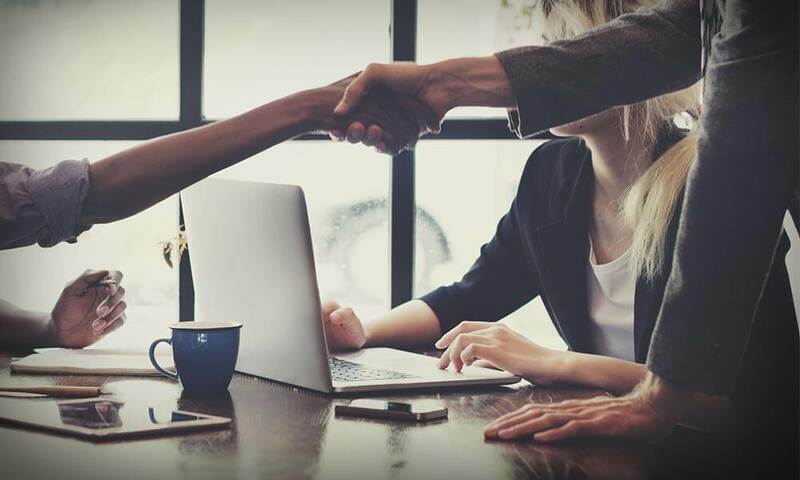 ClearSlide, the Sales Engagement Platform leader, and LevelEleven, the leading Sales Activity Management System, today announced a partnership and integrations that will deliver significant sales productivity improvements for any company. According to global sales advisory firm CSO Insights, sales leaders report that improving sales productivity tops their list of priorities. But on average, sales managers have less than 20 percent of their time available to directly help reps sell. Also, more than 70 percent of companies are taking at least six months to ramp new reps and fewer than 60 percent of sales reps achieve their sales quota plans. These challenges are resulting in sales leaders wanting better, real-time visibility into how their sales staff are engaging prospects and customers to achieve sales priorities and business results. LevelEleven has integrated ClearSlide’s open APIs into its Sales Activity Management System. This integration provides organizations a guided selling process with actions sales reps should take at each sales stage. This also provides visibility into performance against top ClearSlide KPIs such as email open rates, number of online and in-person meetings, and total engaged selling time. 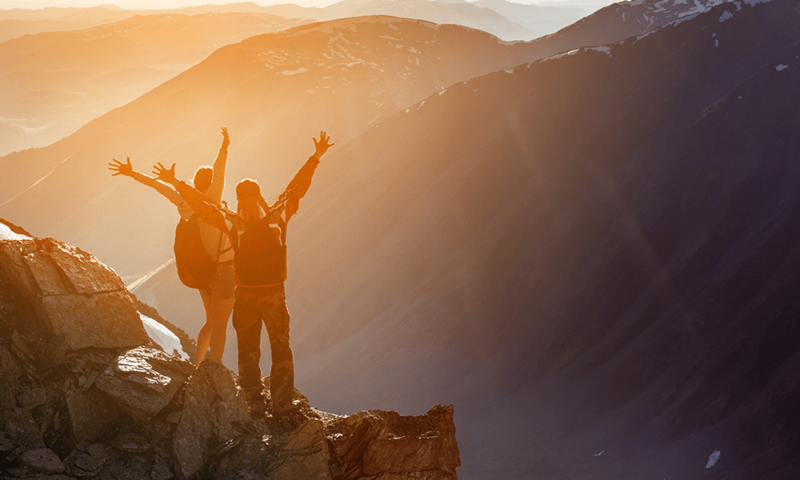 Sales leaders leverage the LevelEleven integration with ClearSlide KPIs to set benchmark performance levels to help scale stronger results across their teams. 2016 marks the successful finish of our first ten-year fund, The South East Asian Strategic Assets Funds, and we have two other funds under management. We are headquartered in Singapore, where we are licenced by the Monetary Authority of Singapore, and have offices in Malaysia and Indonesia. CapAsia’s infrastructure Funds intend to offer investors a well-defined investment proposition that is circumscribed by the core investment characteristics of infrastructure. CapAsia is aware that investors in its funds expect investments made by these funds to consistently exhibit specific investment and performance features such as a lower risk/ return profile and current and yield elements that are distinct from those from other alternative asset classes such as buy-out funds and real estate. In general, it is expected that infrastructure funds offer more downside protection in economic downturns and are less exposed to commercial risk due to the monopolistic nature of the markets in which such companies operate. Equity investments in infrastructure often are further de-risked through current yield returns from dividend payments. Due to the lower risk of the investment, investors should expect lower returns than from alternative assets classes. In our investment area, infrastructure companies often operate as natural or commercial monopolies due to either regulation or high barriers to entry. As such, the nature of the services provided should involve limited commercial and market risk. Infrastructure companies have long time horizons and are normally capital intensive. Furthermore, infrastructure investments should offer stable and predictable cash flows that are only to a limited extent affected by downturns in the economic cycle. The stability and predictability of cash flows stem from the natural monopoly character of the infrastructure service provided (for example toll roads or bulk water supply), the stickiness of demand (telecommunication infrastructure) or longer term purchase contracts (power generation but also higher education). Also, the financial performance of infrastructure investments should display a lower correlation with the macro-economic environment than other alternative assets. Within infrastructure the degree of correlation with the economic cycle differs. Investments in container terminals typically are more leveraged on the economic cycle than, for example, urban toll roads. Finally, infrastructure investments may have some hedge against inflation or, in the case of emerging markets, foreign exchange risk. On the former, concession contracts may contain tariff escalation mechanisms that allow increases to account for inflation. Further, in emerging markets under local regulation or the terms of a concession, the costs of materially important inputs such as those of internationally traded commodities like fuel stock for thermal power plants or that of hard currency denominated debt, are often allowed to be treated as passthrough costs. With our flagship fund now finished, our main focus is on our two other funds: the Islamic Infrastructure Fund and the CapAsia ASEAN Infrastructure Fund. Across our funds, we have invested in several countries: Kazakhstan, Pakistan, Thailand, Malaysia, Indonesia and the Philippines, and across several sectors: thermal power, renewable energy, toll roads, social infrastructure and telecoms infrastructure. We take great pride in the fact that our first fund was a top performing fund for its 2006 vintage (according to Preqin) and delivered a gross money multiple of 2.3x and net of 1.7x. Gross IRR was 18% in USD. Furthermore, across our second and third funds we manage approximately USD 240m for our institutional investors and our limited partners. When looking back on our successes to date, we believe that this is primarily due to the fact that we are active investors, and we take our roles on the boards and committees of our portfolio companies very seriously. Moreover, we are based in Asia and have extensive experience in the geographies in which we invest. We also try to take a flexible approach to exits, although most of our exits are through trade sales, we have also been able to exit through the public markets. In terms of our strategy, we are diversified across several emerging markets, and most of them are investment grade. We believe our markets provide investors with geographic diversification and also exposure to the growth dynamic in these emerging markets. The demographic dividend of our markets is well understood, and the structural shifts to an emerging middle/consumer class, and continuing urbanisation provide significant demand for infrastructure and services. In some of our markets, we are able to be an early mover, such as backing renewable energy projects, and this can allow us to take advantage of attractive economics. In thermal power and transportation, we typically provide expansion or buyout capital to existing assets, where the continued growth in demand provides attractive upside. As for our clients, they are all accredited and qualified institutional investors. These include some of Asia’s leading banks and financial institutions, pension funds and development finance institutions. Looking further into 2016 and beyond, we are very optimistic about the future of our company. We are continuing to deploy capital from our third fund this year, and manage the performance of our existing assets across both of our remaining funds. Only once we are substantially in our third fund will we look to raise additional investment capital, although that is certainly something that we will consider. When everything feels very complex, it can often pay dividends to focus on the simple basics. So, as the business community begins to soak up the implications of Brexit, one valuable task marketers would do well to concentrate on is auditing the state of their digital presence. At a time when public trust is at a premium, online platforms provide a responsive and easily-accessible channel by which a company can communicate many elements of its operation, and aid in the strengthening of its brand loyalty. We surveyed digital platforms of all the FTSE250 companies, analysing them for a variety of elements. One of the striking conclusions we came to was how variable the websites of banks and financial services companies are. The sectors as a whole don’t rank well – 10th and 13th respectively, of 14 in total – and while some have excellent sites others leave substantial scope for improvement. So what divides the great from the not so good? Despite the poor show of the financial services sector as a whole, the websites of three investment management companies are actually in our top ten of sites of FTSE250 companies – Woodford Patient Capital Trust, Rathbone Brothers, and Scottish Mortgage Investment Trust. What these and other top performers like Hays and the Weir Group do well is present a well-integrated picture of their company that feels consistent right across their digital channels. They pick a narrative and then ensure that all the elements support this. That narrative is often a corporate voice on an issue that is bigger than just their own operations – a societal issue that the organisation can position itself as part of the solution to. For instance, Rathbones enables its customers to ‘help you look forward with confidence’, and its website supports that proposition. With this strategy arranged, it’s a matter of curating content that always fits within it, in an inventive and creative way. The most impressive corporate websites now look more like that of a magazine publisher, with attractive visual content like that of Sainsbury’s, GSK and AstraZeneca. Indeed, the pharma firms are really displaying the most progressive websites – the latter two pharma giants are also impressive in their creation of genuinely interesting written content. Integrating social feeds into a site is something that increasing numbers of companies are having the confidence to do – and it pays dividends in terms of projecting a progressive, inclusive attitude. Woodford’s blog includes moderated comments, meaning it retains some control. You can see how engaged its users are by the responses to its Brexit video post. Site navigation is important to get right so that the user experience is clear and simple. This means working on peppering the site with relevant links to allow the user to move easily between sections, and offering intuitive section headings. We’ve noticed that the most progressive companies are paying a lot more attention to integrating the investor relations and careers sections of their sites, so that neither of these stakeholders feel as if they are visiting a ‘ghetto’ of the site. Shell and Centrica stand out for the quality of their careers content, with Shell adding interviews with its staff to give potential employees an idea of how it feels to work there. Similarly, IR sections of the best sites are no longer dull tables of numbers but feature content that makes a more active case for investing in the company. Perhaps unsurprisingly given its controversial ownership, Royal Bank of Scotland’s Investment Case page is a good example. Like the rest of the business community, financial services companies must be asserting their place in the changed political and economic landscape. The time has never been more appropriate to ensure that digital is pulling its marketing weight. Carly Fiorina, former CEO of Hewlett-Packard, once said: “The goal is to turn data into information, and information into insight.” She was correct. And we’re here to teach you how to put this theory into practice. Whilst there isn’t a way to fully uncover every detail of your competitor’s website analytics, there are tools out there to help you access basic information. This can include how high up they rank when searching for a product or service on Google, tracking where their referrals come from and even estimates on their average number of visitors. From there, you can tweak your own website to make it bigger and better. A couple of examples of these tools include Quick Sprout, which uses information from your Google Analytics, and SEMrush, which gives you a comprehensive overview of any website domain you enter. Love it or hate it, social media has become one of the most important marketing and advertising tools out there. Take a look at your main competitor’s social media pages and analyse the kind of material they are putting out there, then correlate this with the number of followers to see if it’s attracting people. This will help you determine what kind of material your target audience likes, and then you can start to tweak your own strategy to find what suits you. Who wouldn’t enjoy walking into their favourite shop and being instantly recognised? The feeling of being welcomed and treated as a unique individual is more likely to have you returning to that store than one who doesn’t remember you at all. By figuring out exactly what makes your customers tick, you’ll work to improve your customer satisfaction and reduce the amount you spend on targeted marketing simultaneously.